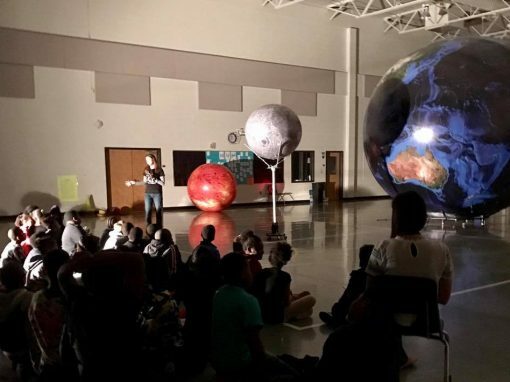 Looking for a way to leave your students with a deep understanding of geology and astronomy concepts? 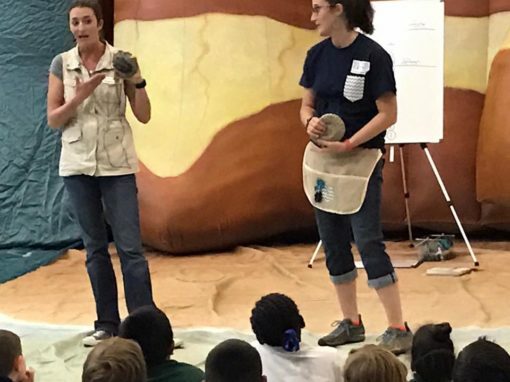 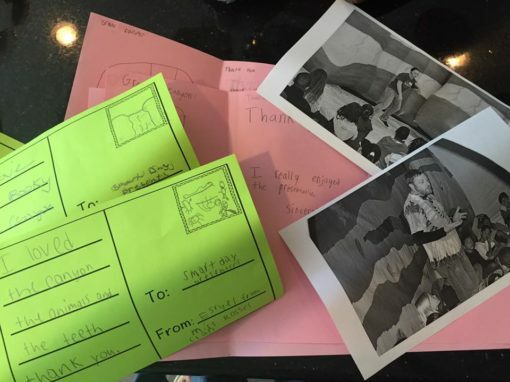 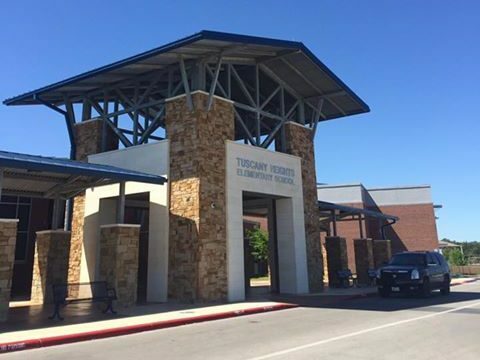 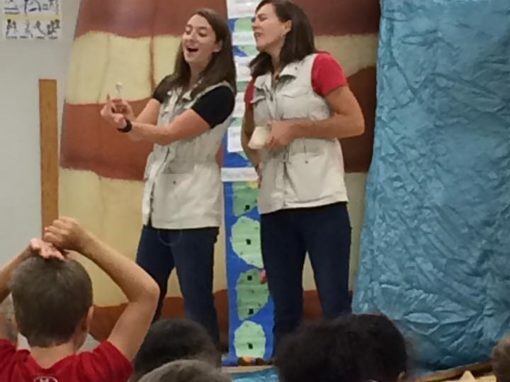 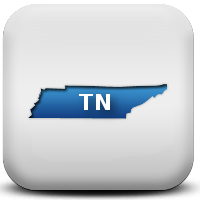 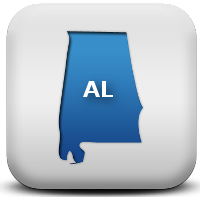 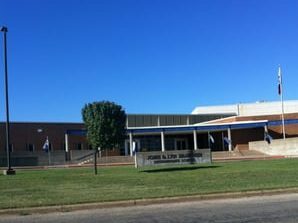 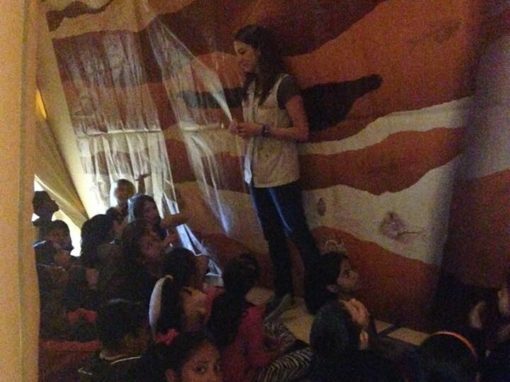 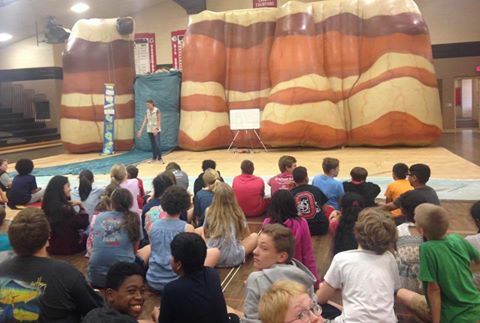 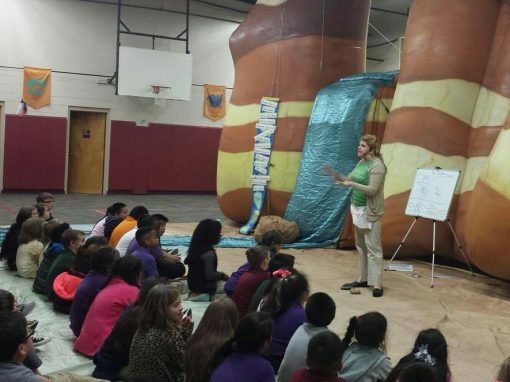 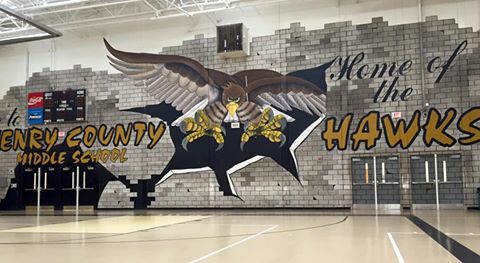 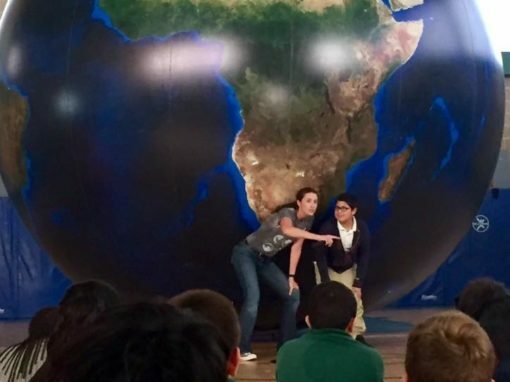 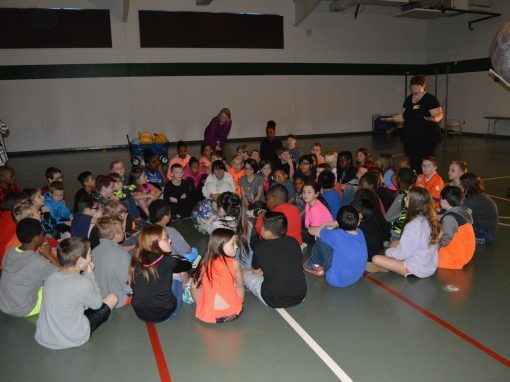 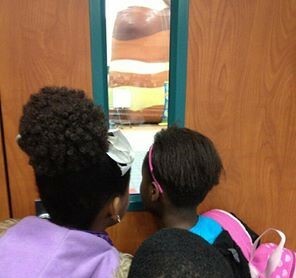 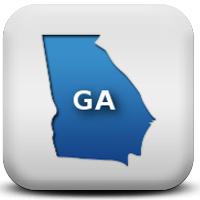 There’s nothing more memorable than bringing SparkPoint Innovations’ interactive teaching models to your school! 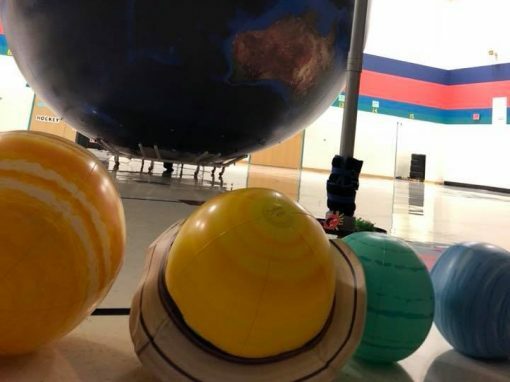 The Big Canyon Balloon and Orbit Earth Expo set up for the day and deliver grade-aligned standards to your state science curriculum taught by certified teachers to small groups. 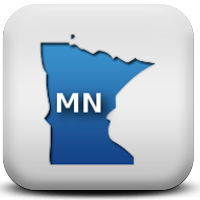 Explore our website to learn more about pricing, content, and more! 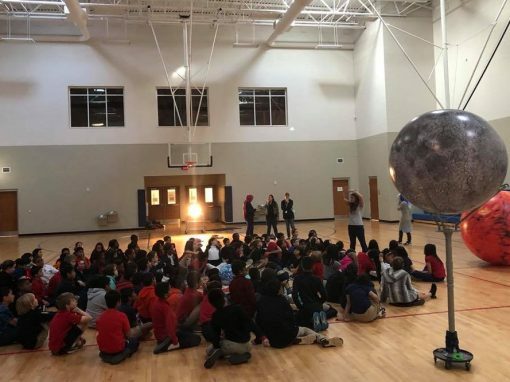 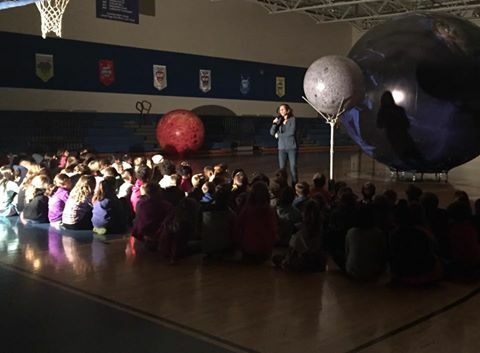 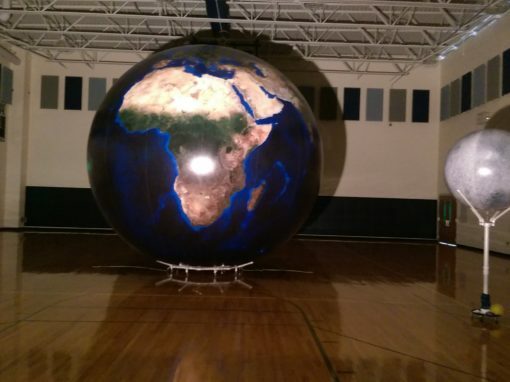 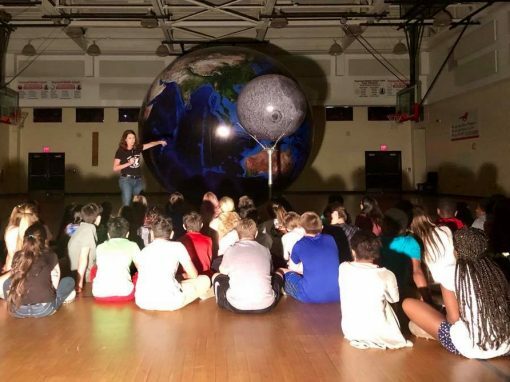 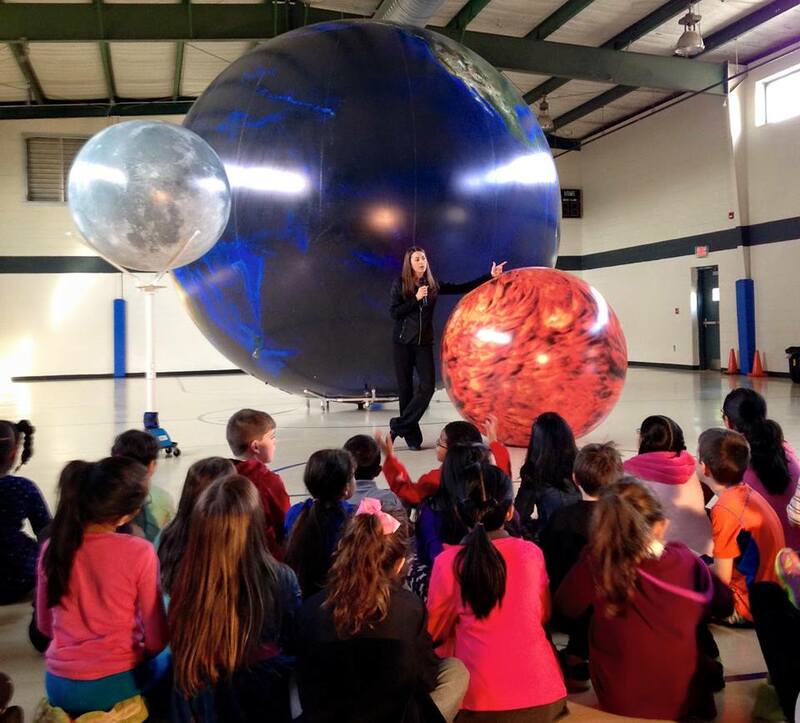 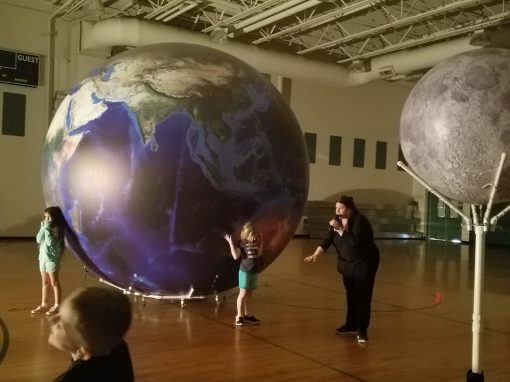 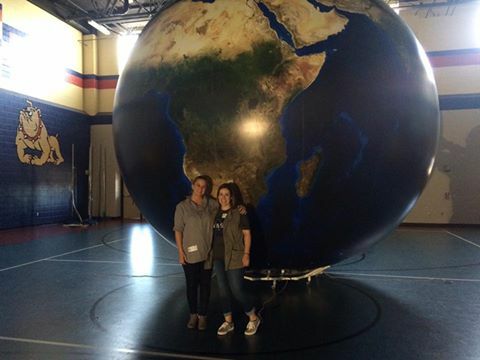 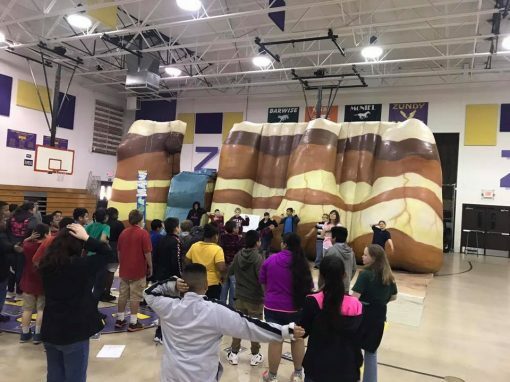 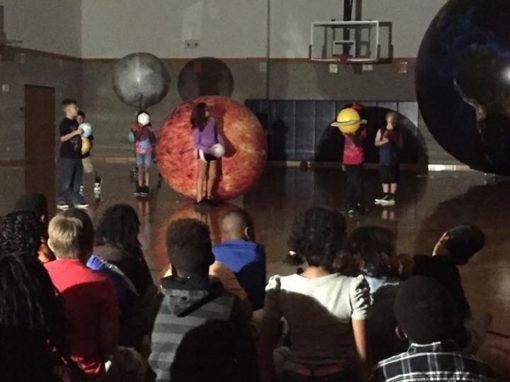 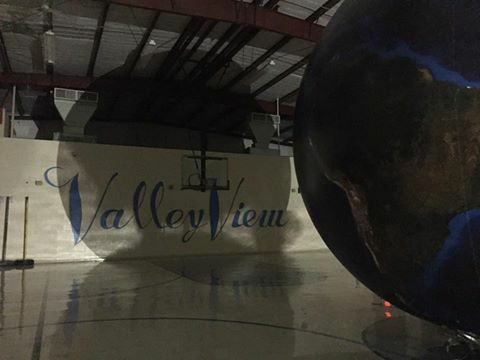 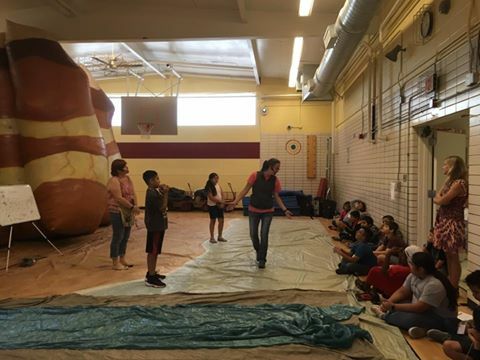 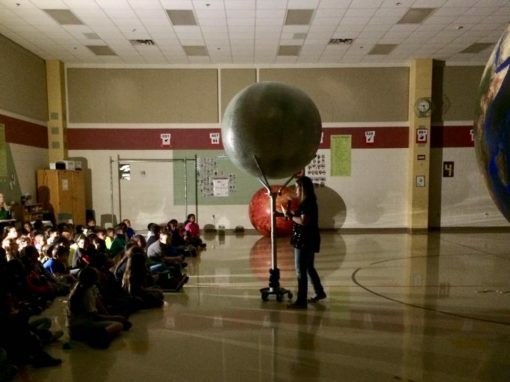 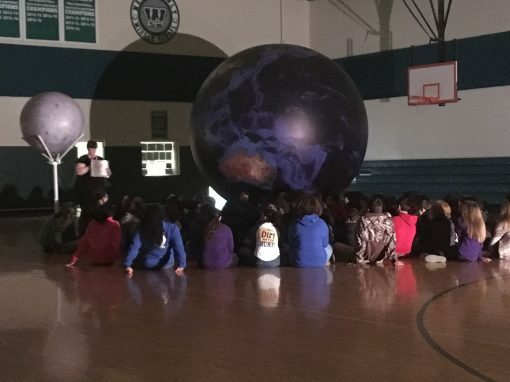 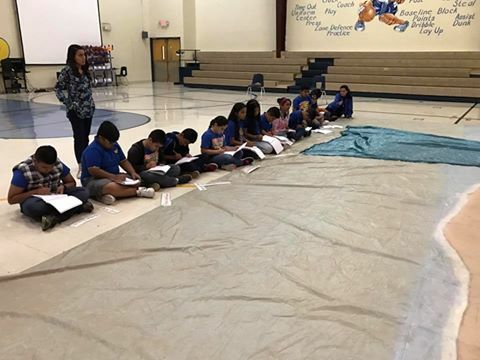 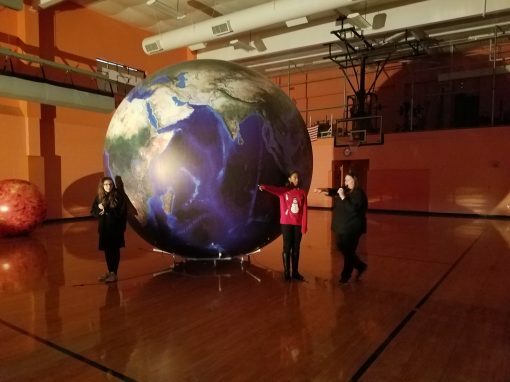 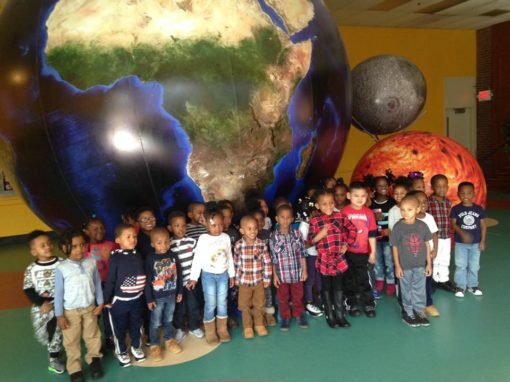 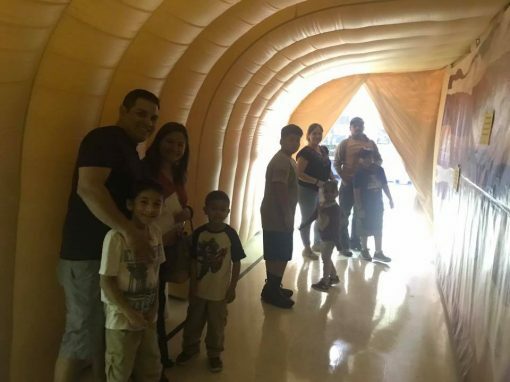 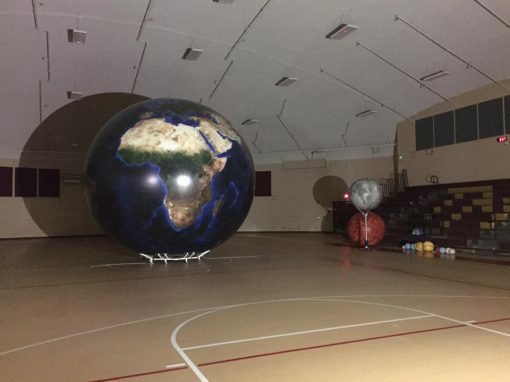 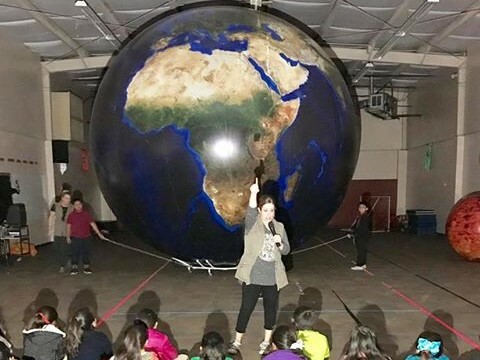 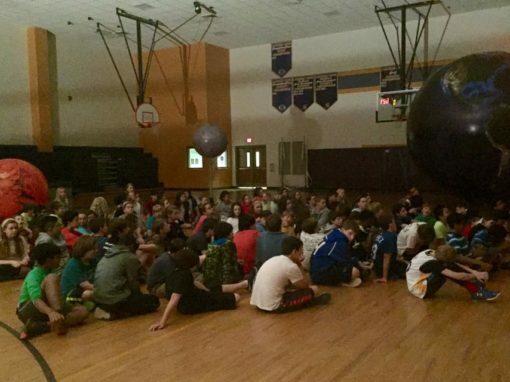 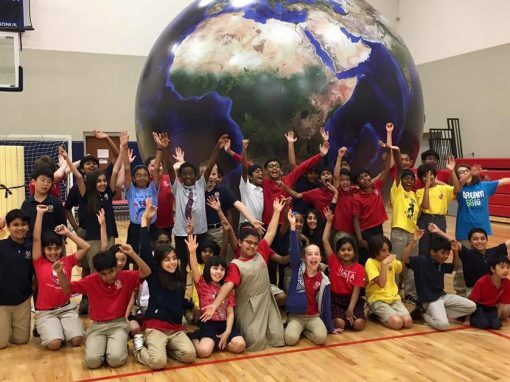 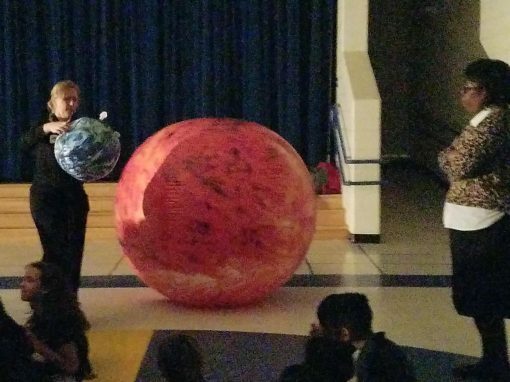 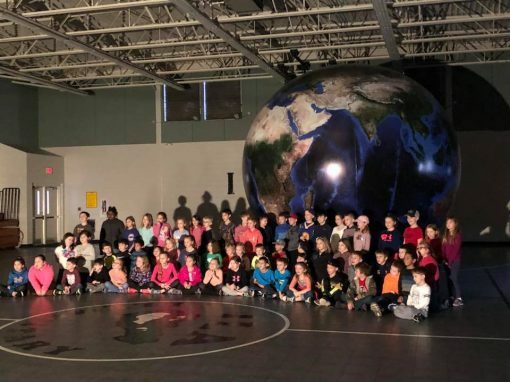 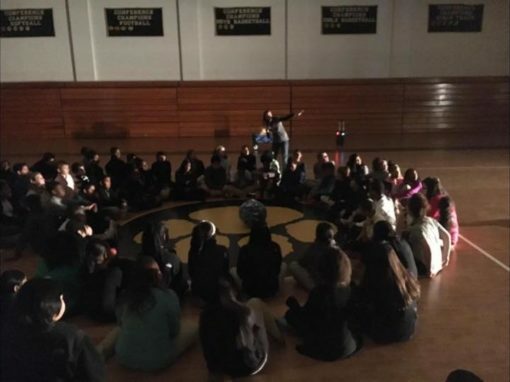 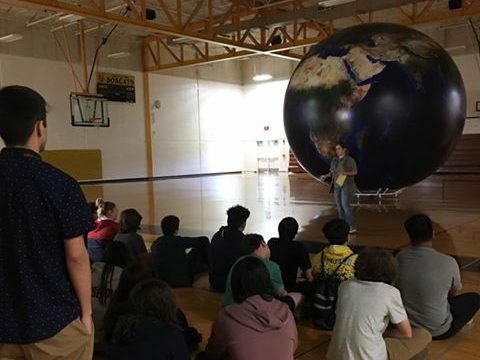 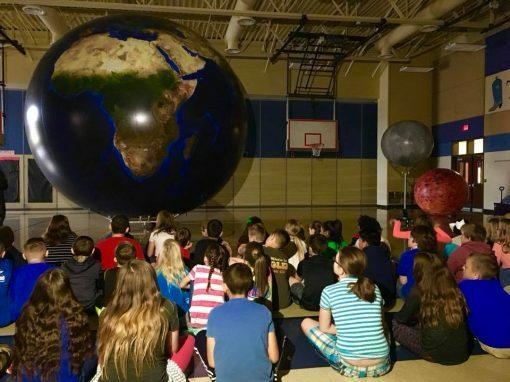 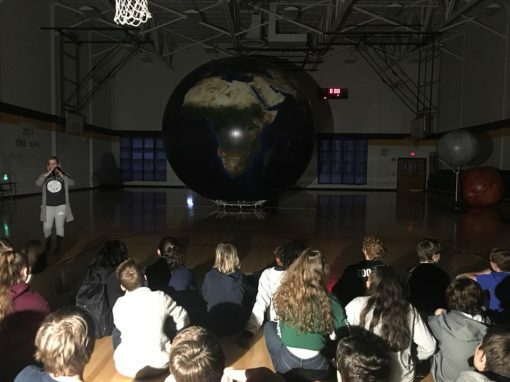 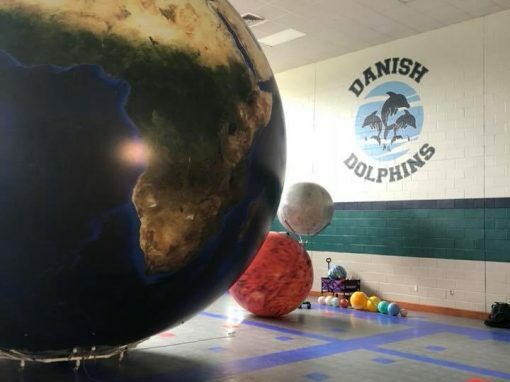 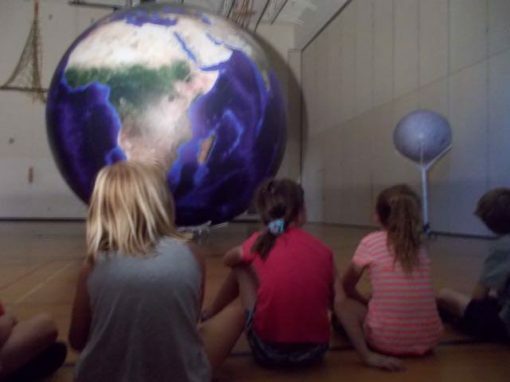 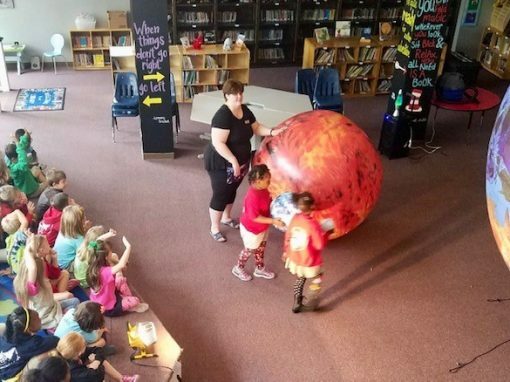 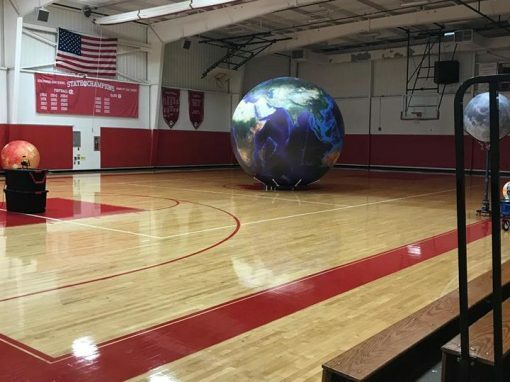 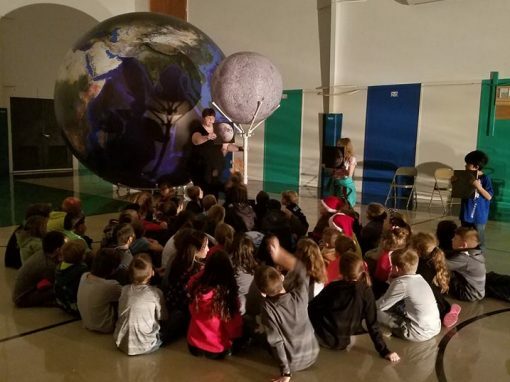 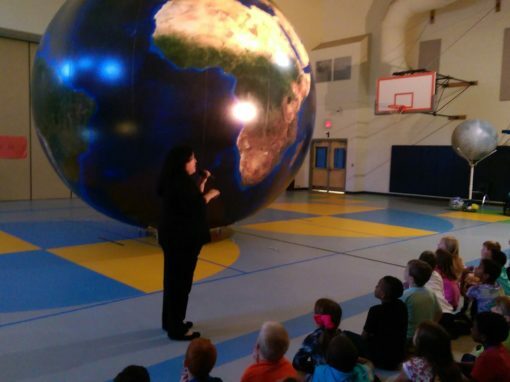 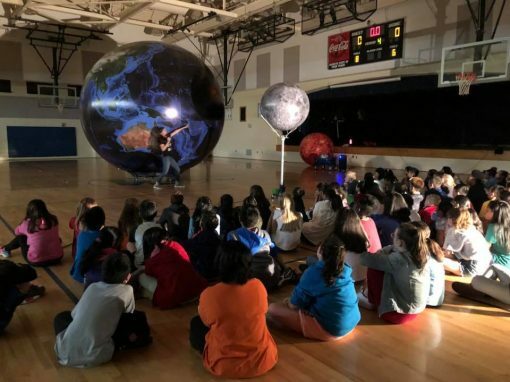 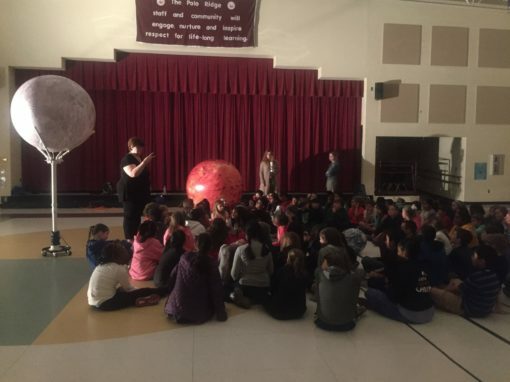 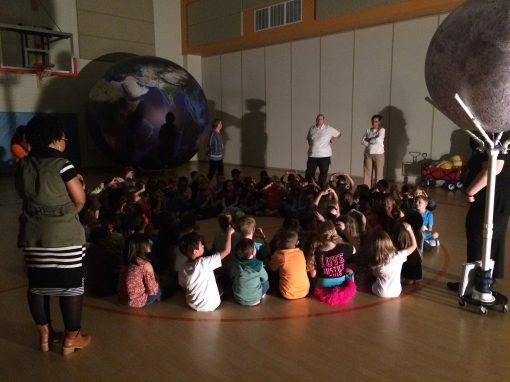 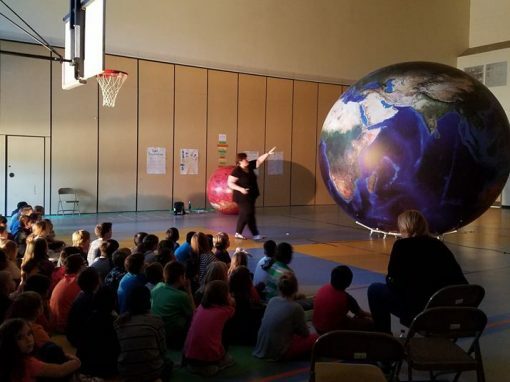 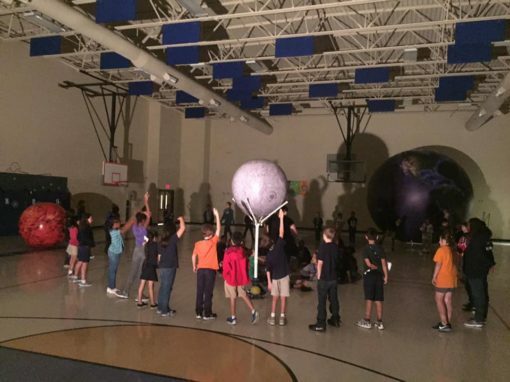 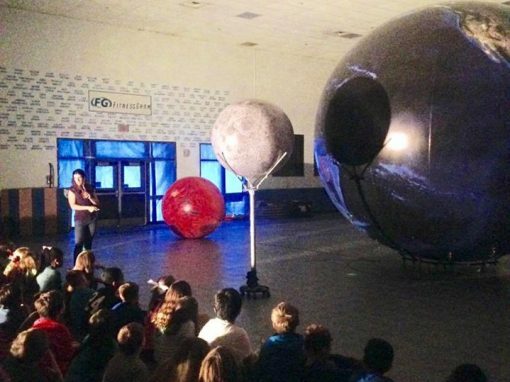 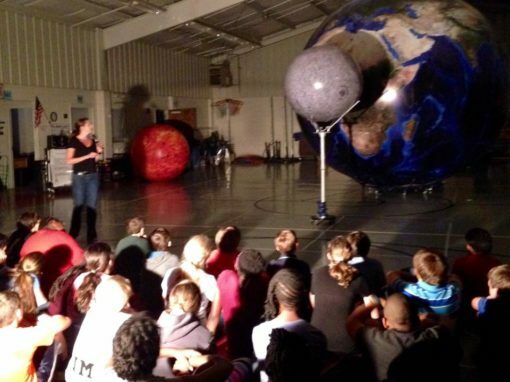 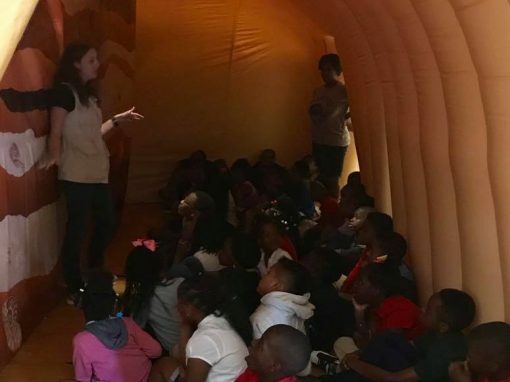 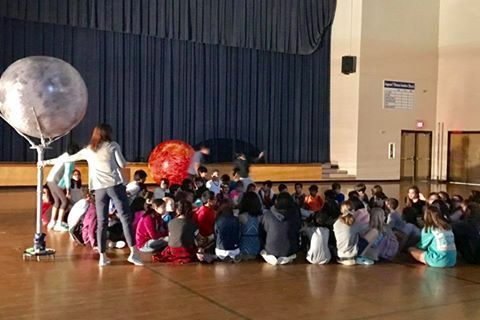 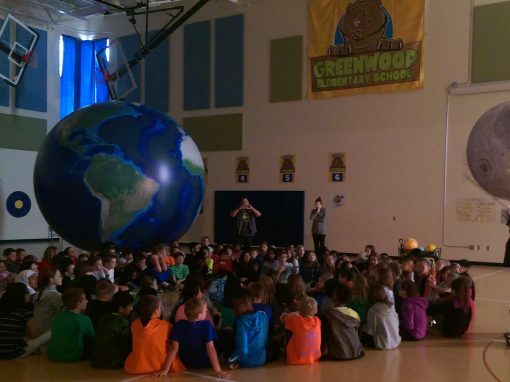 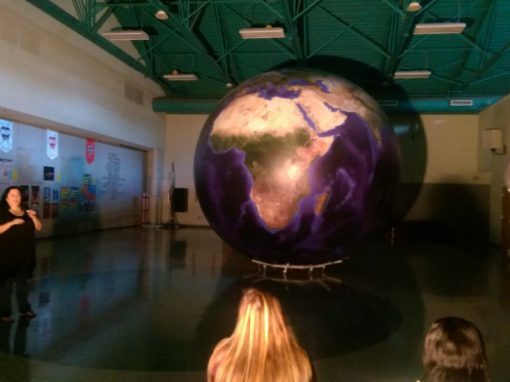 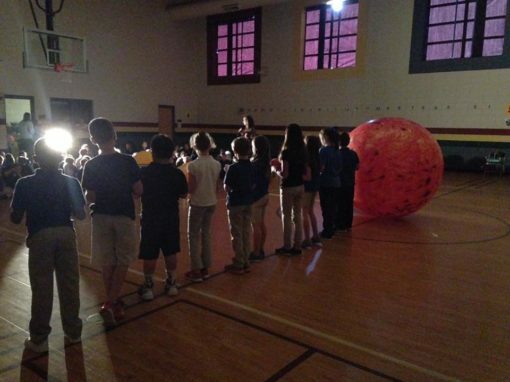 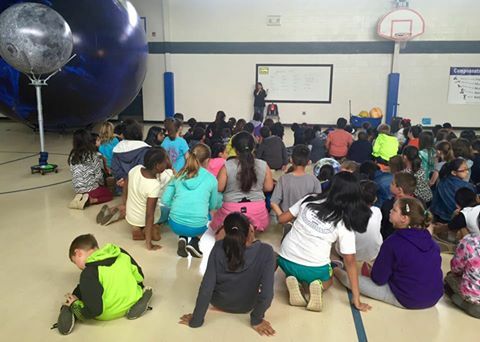 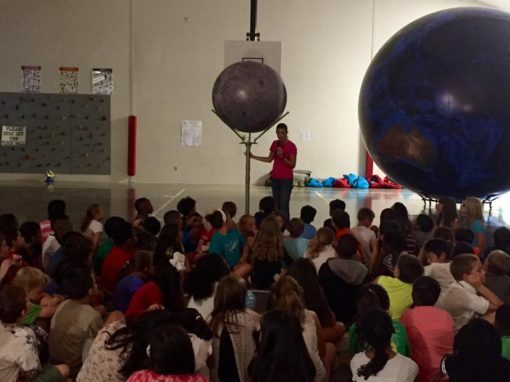 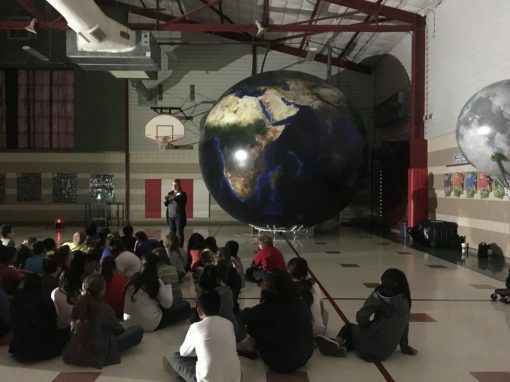 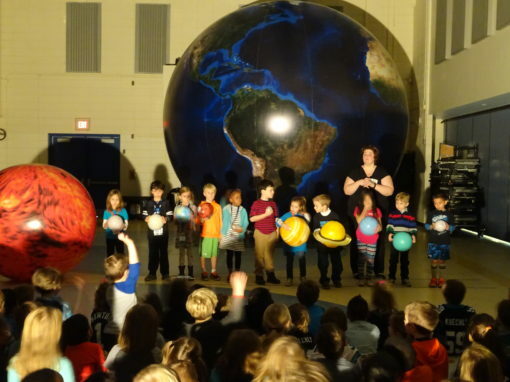 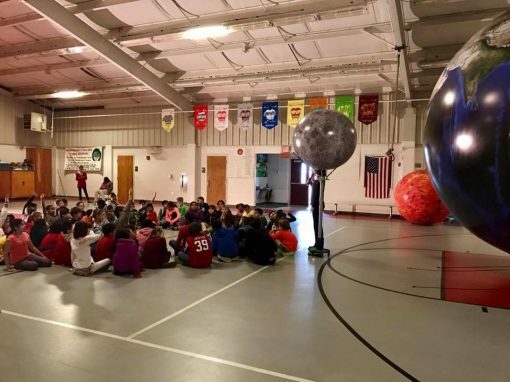 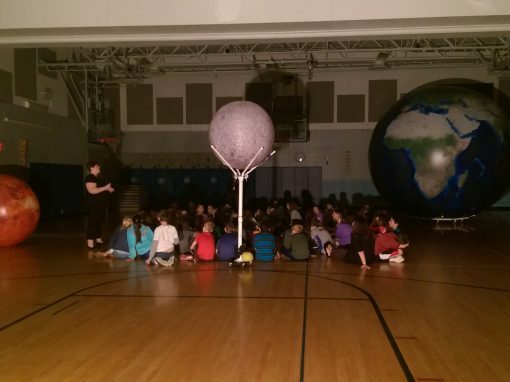 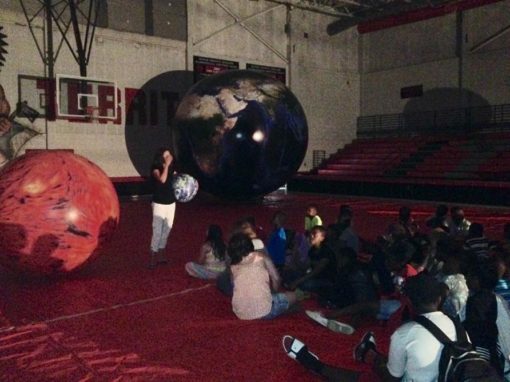 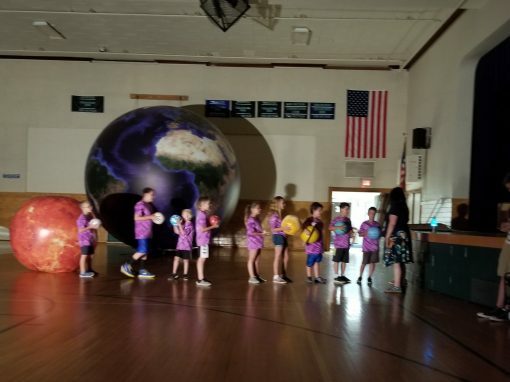 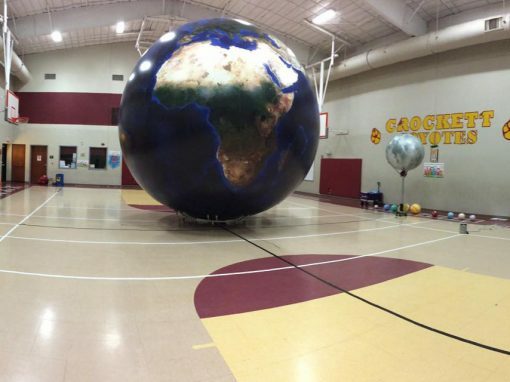 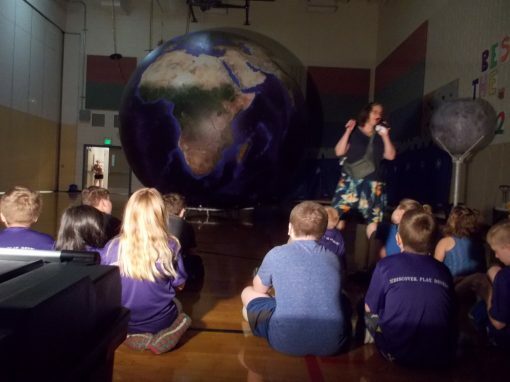 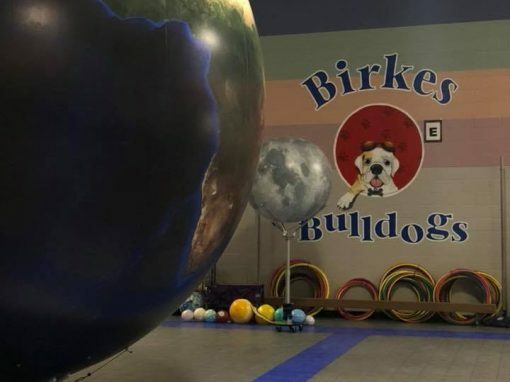 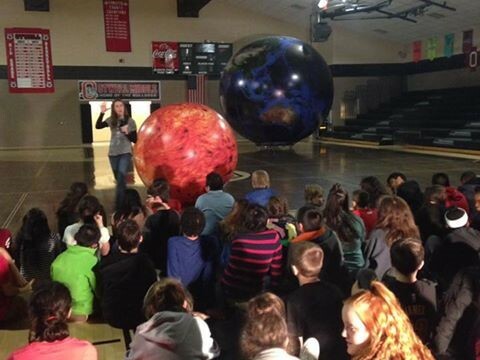 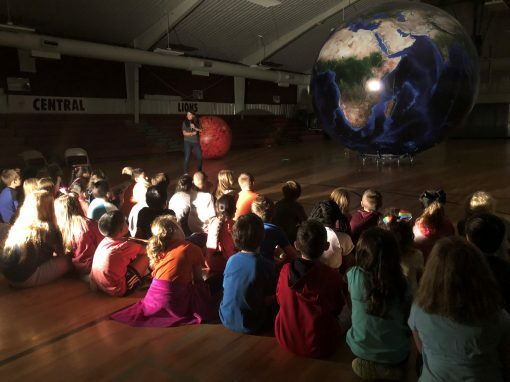 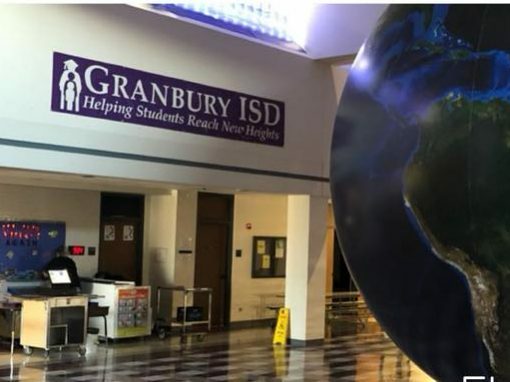 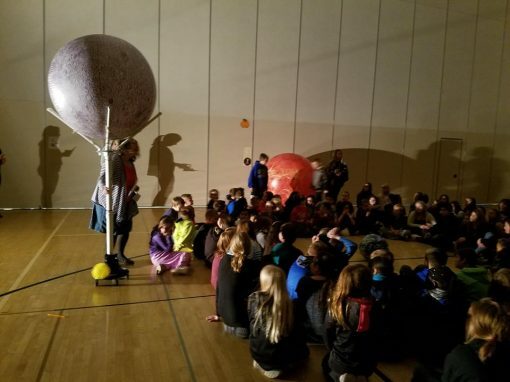 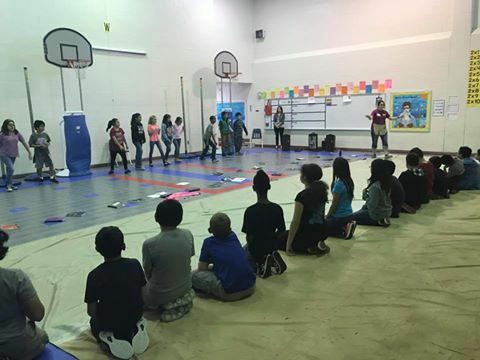 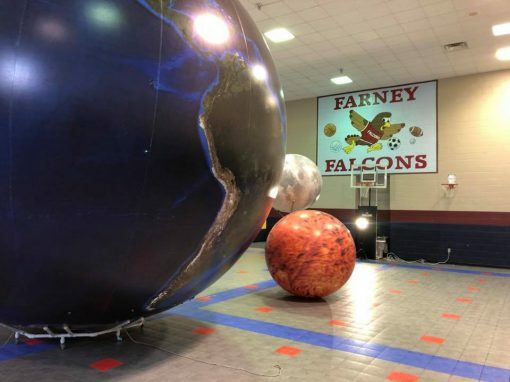 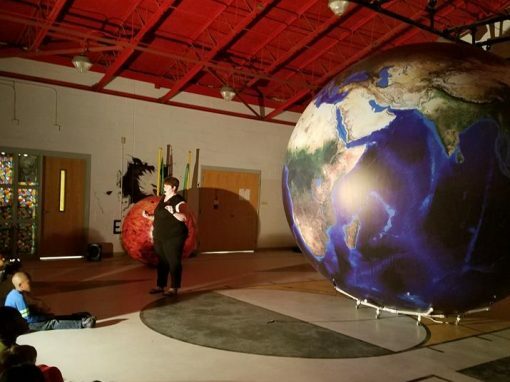 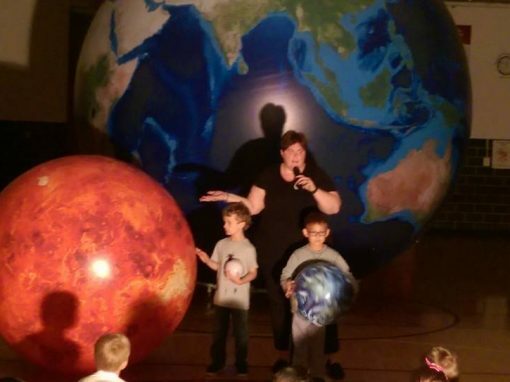 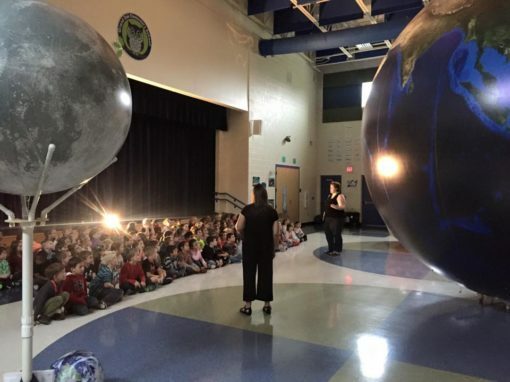 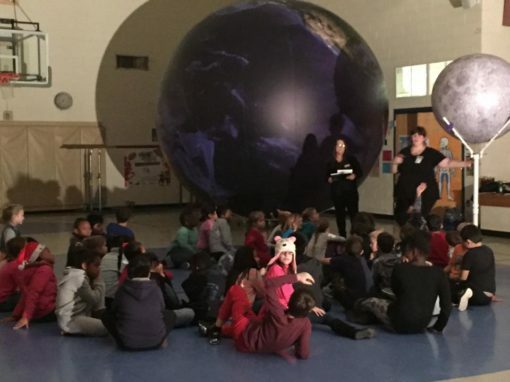 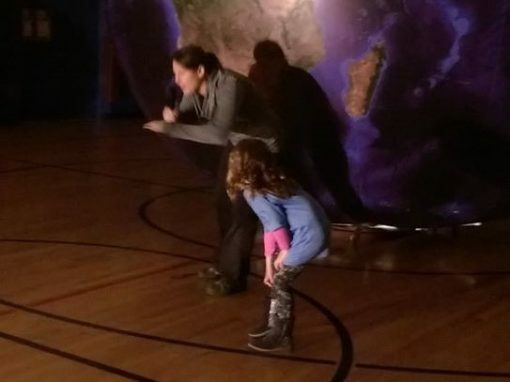 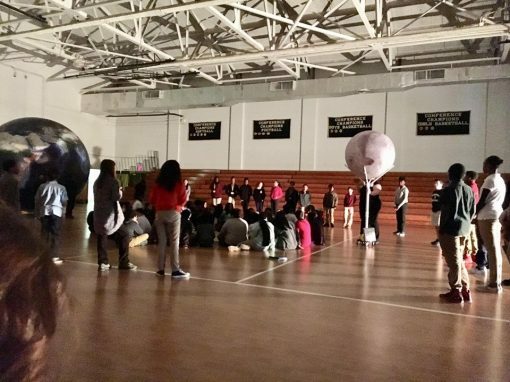 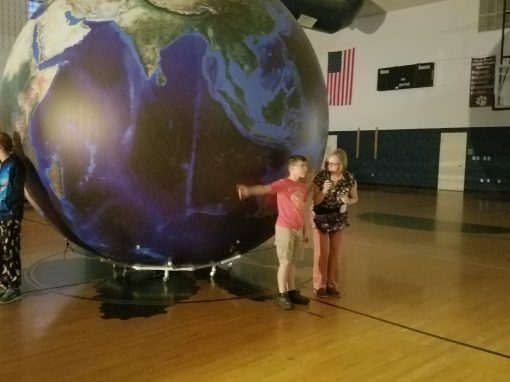 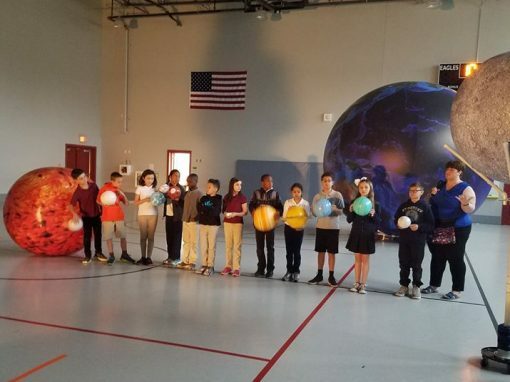 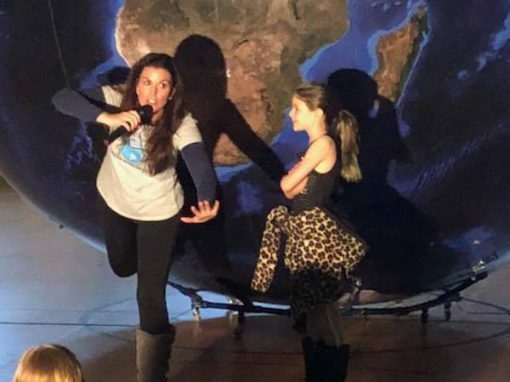 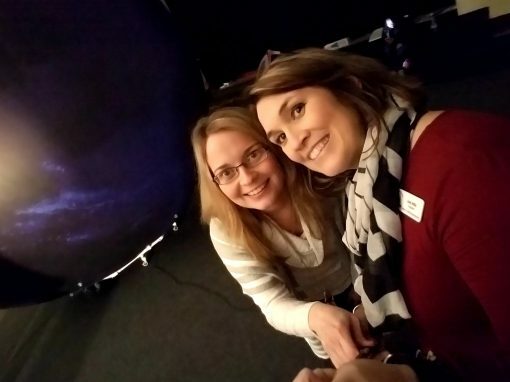 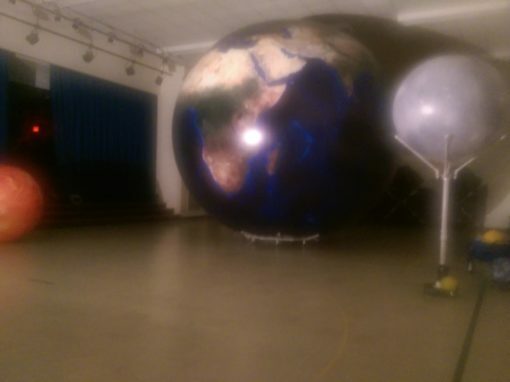 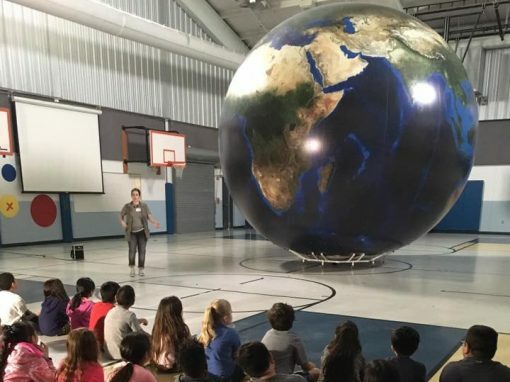 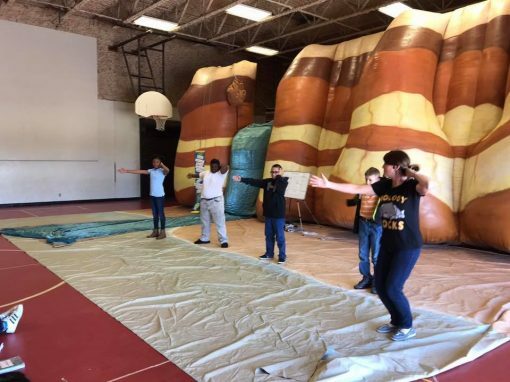 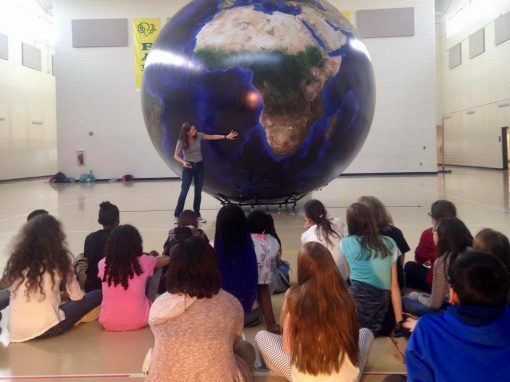 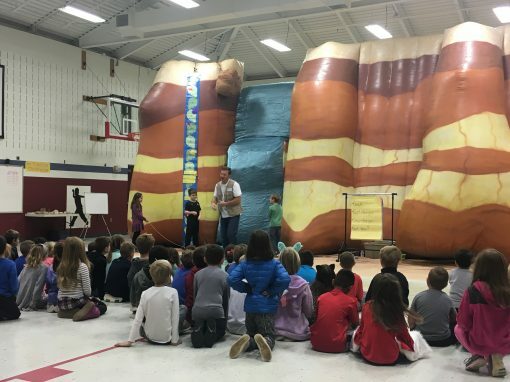 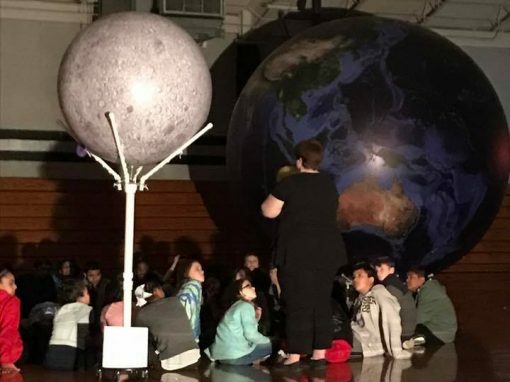 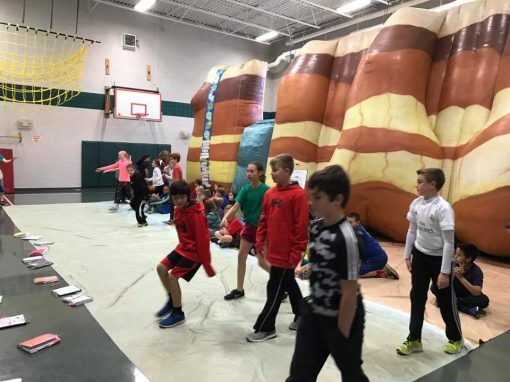 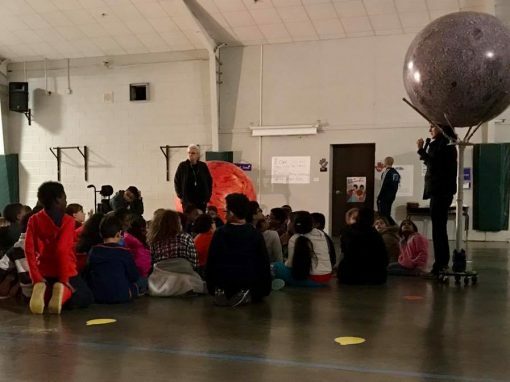 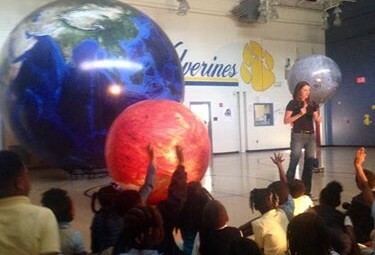 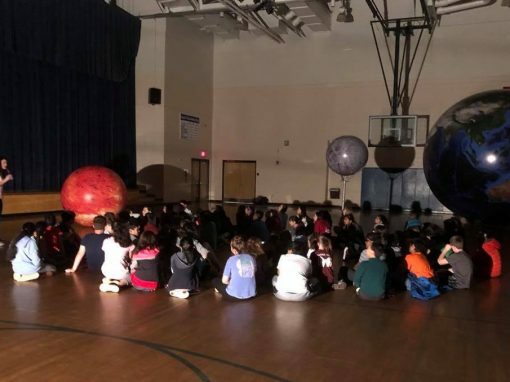 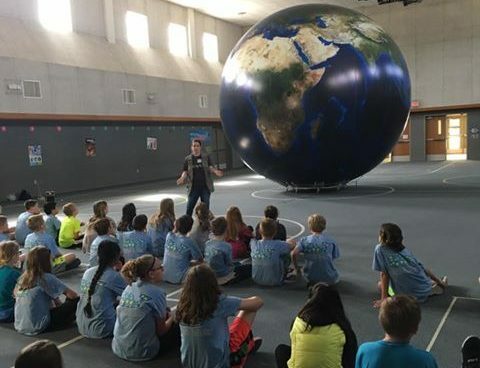 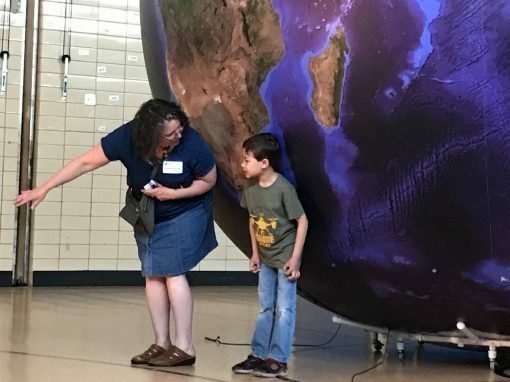 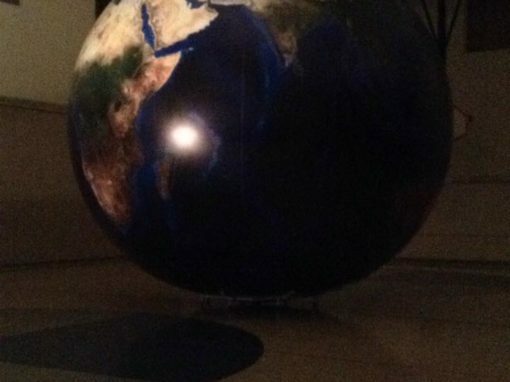 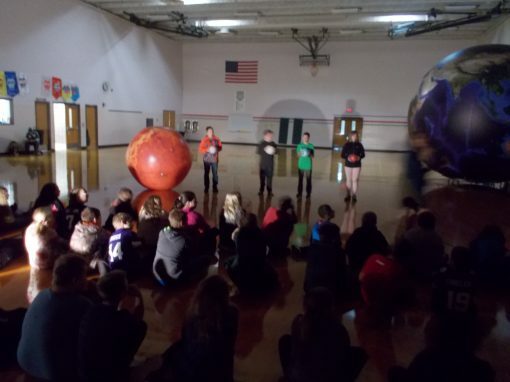 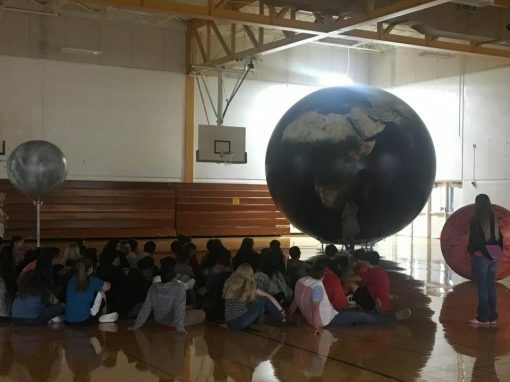 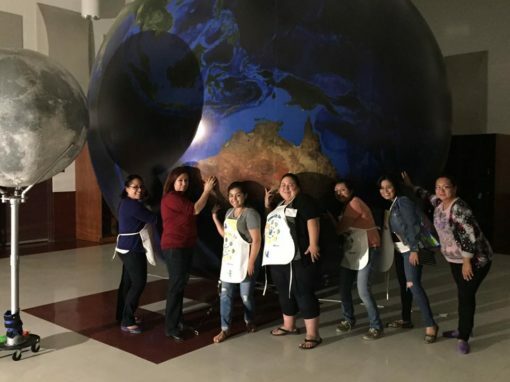 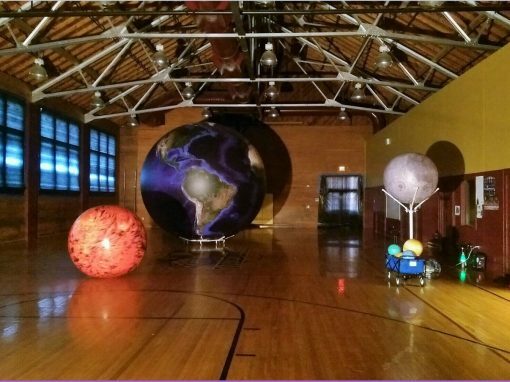 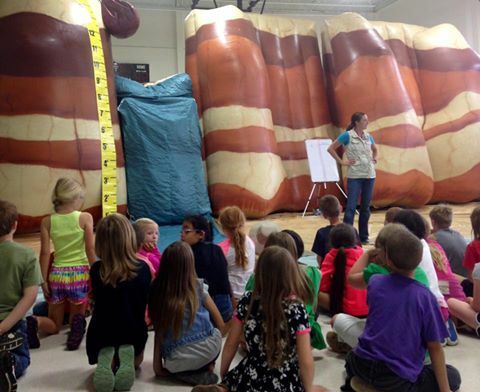 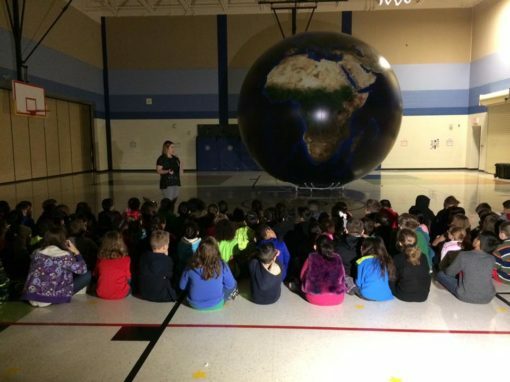 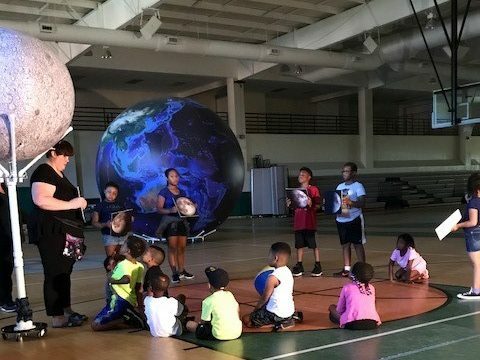 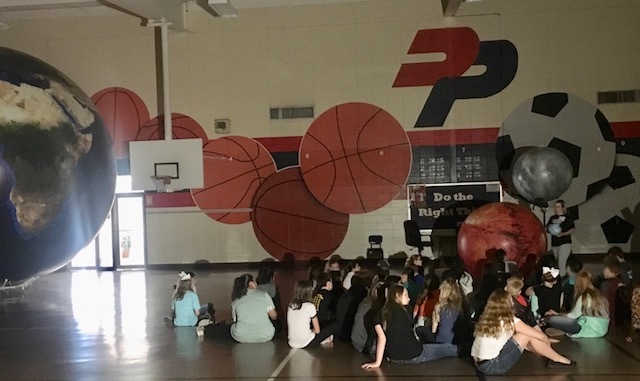 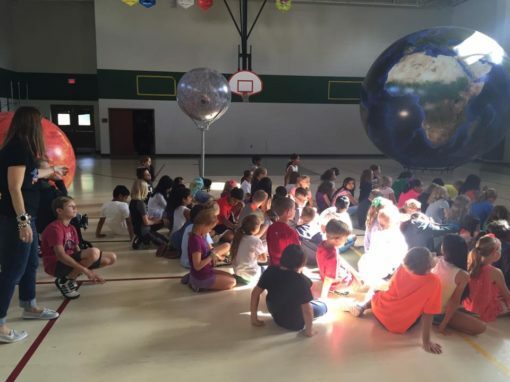 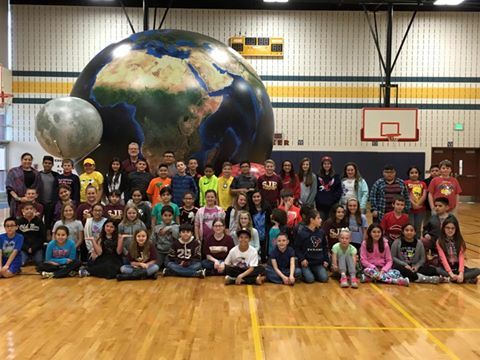 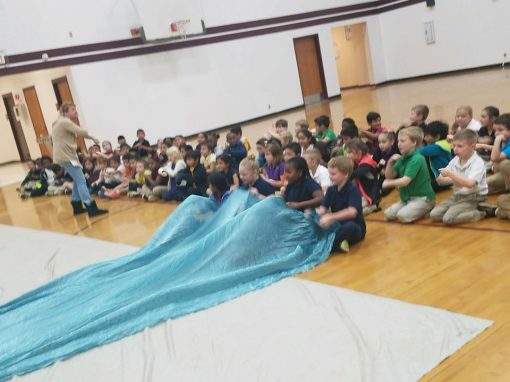 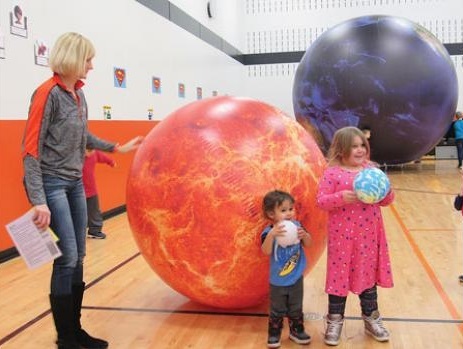 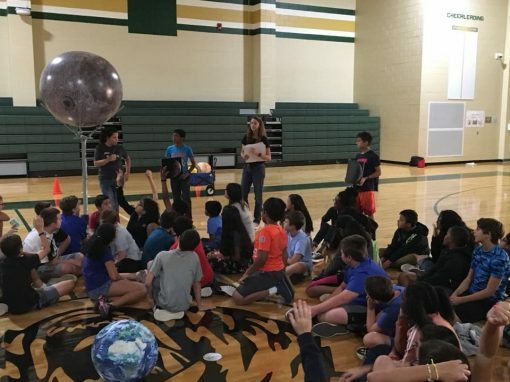 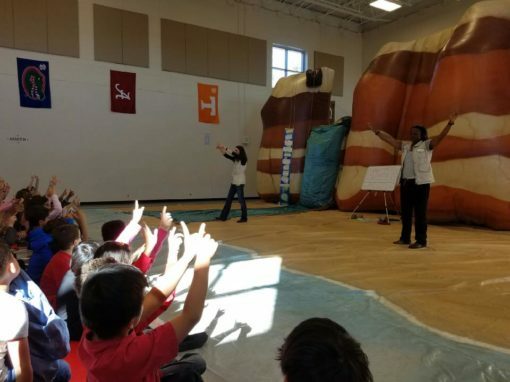 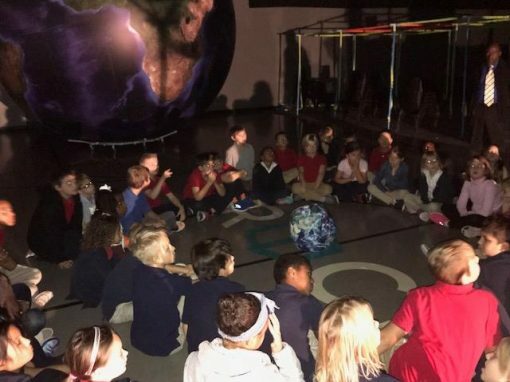 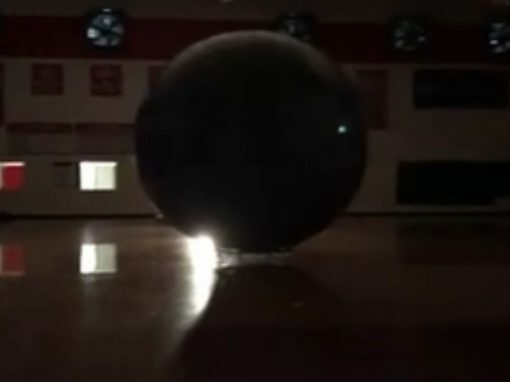 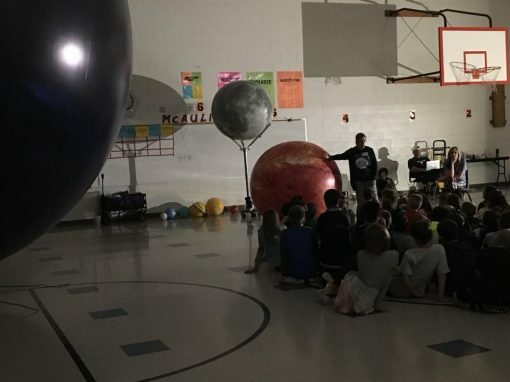 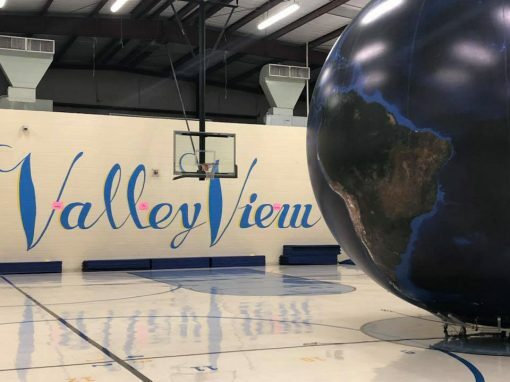 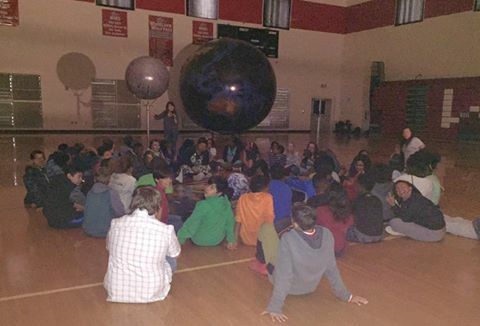 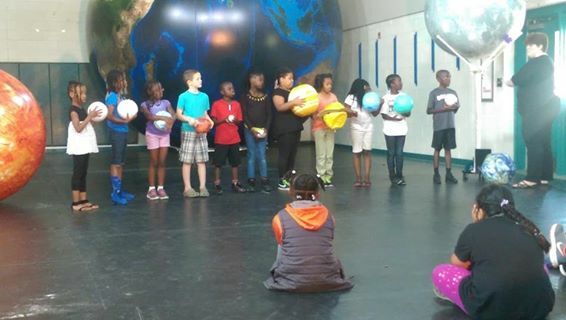 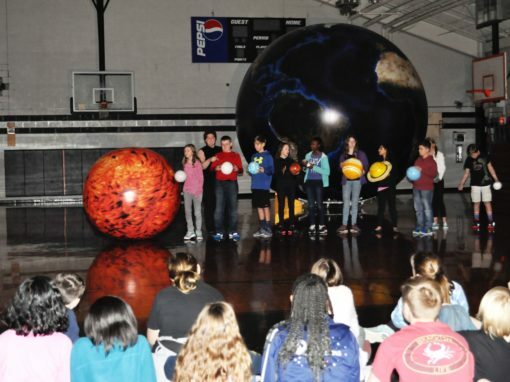 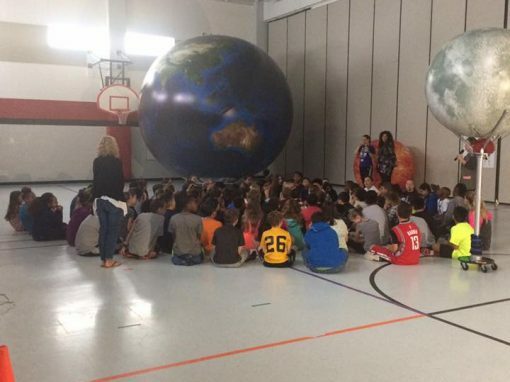 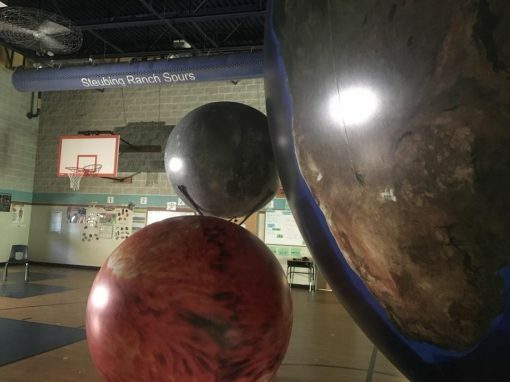 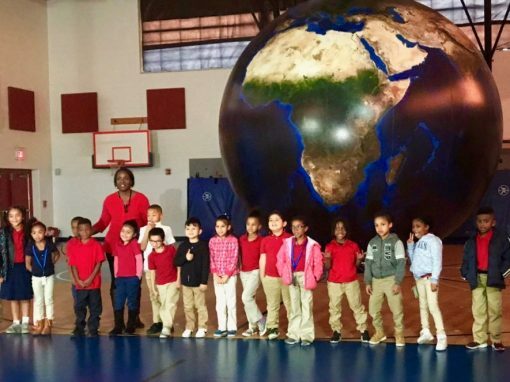 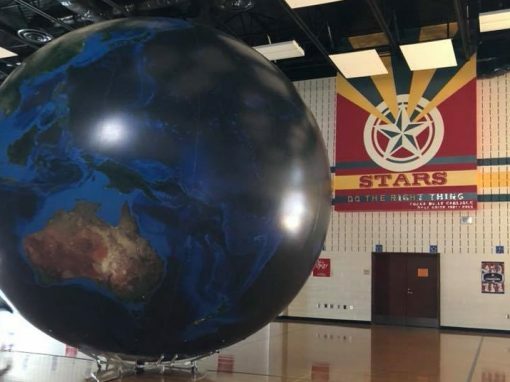 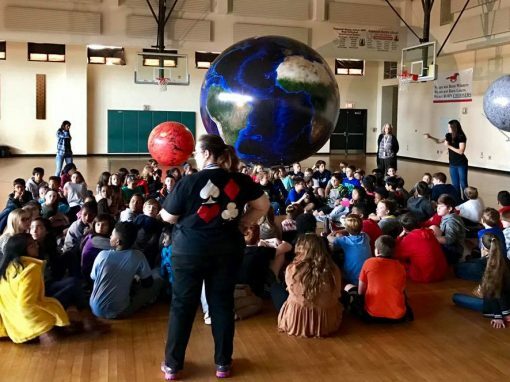 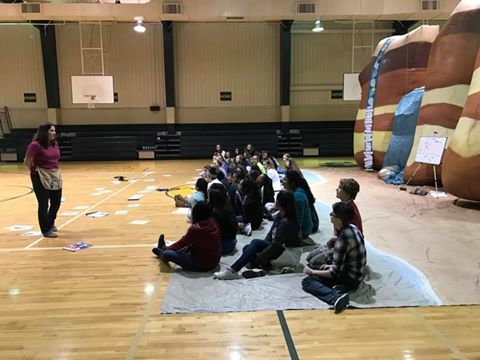 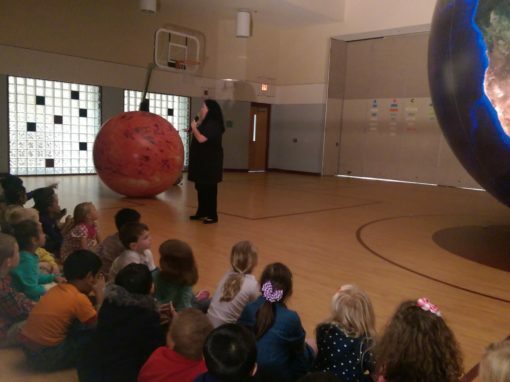 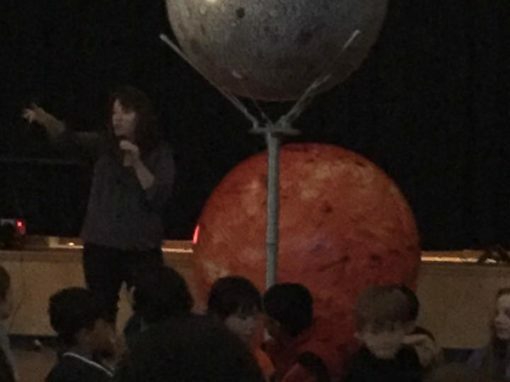 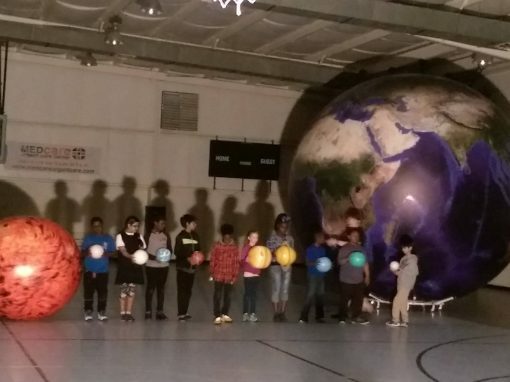 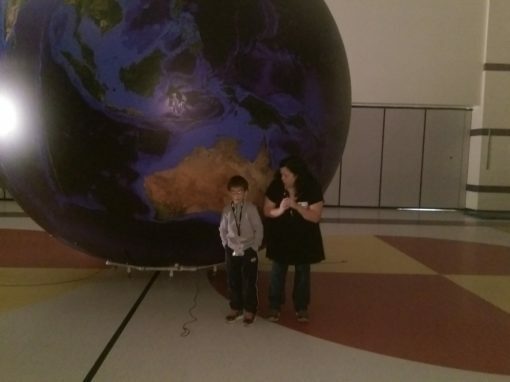 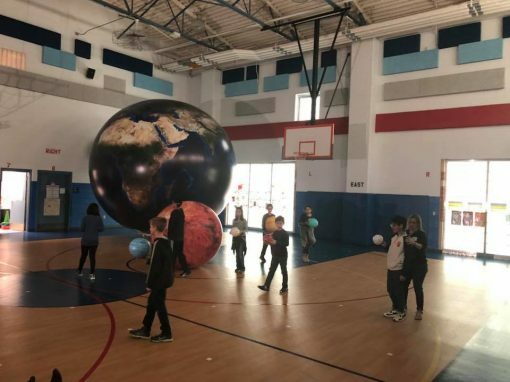 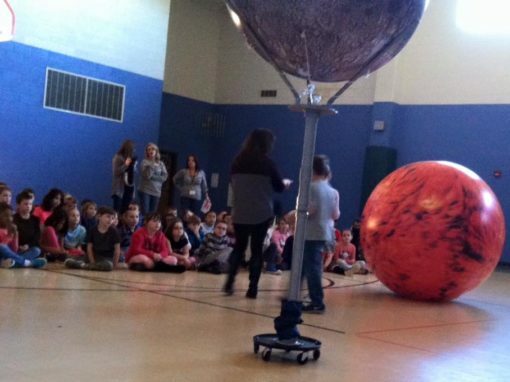 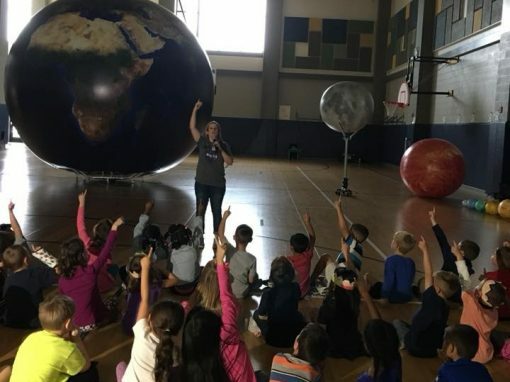 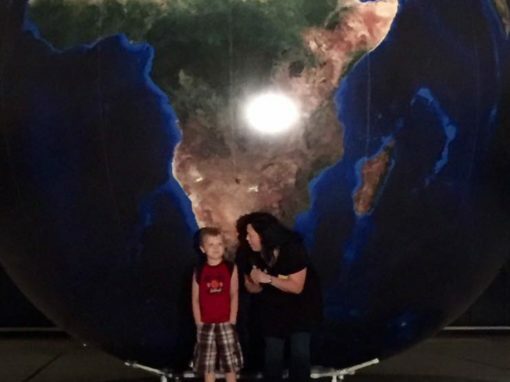 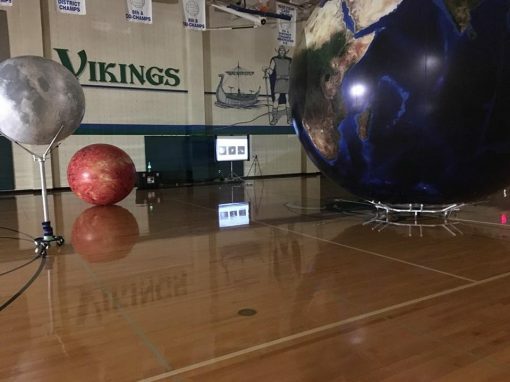 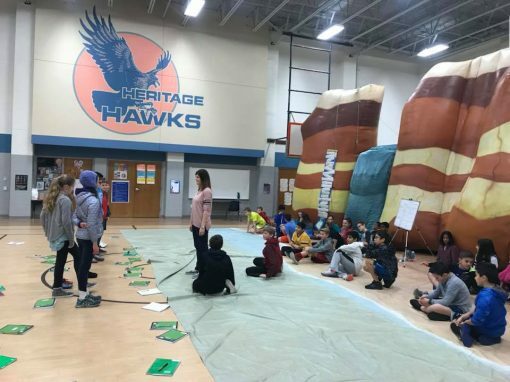 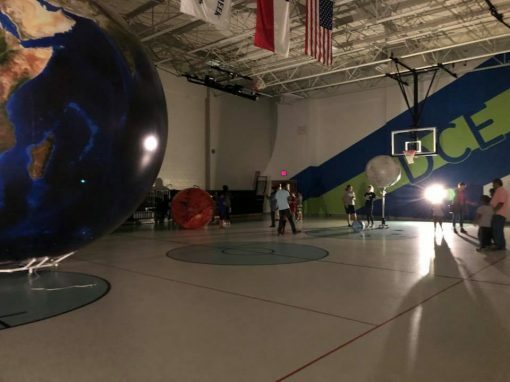 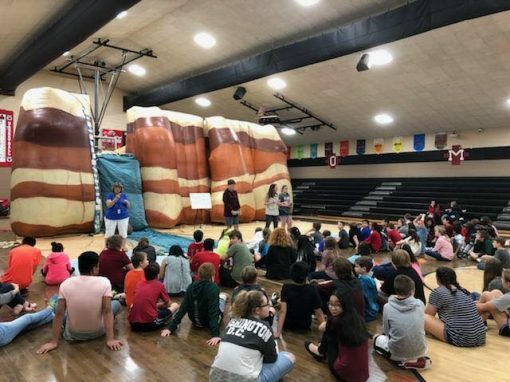 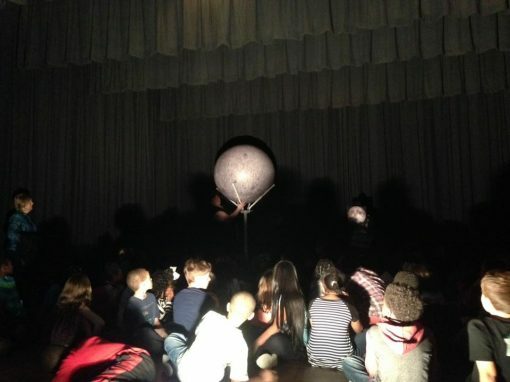 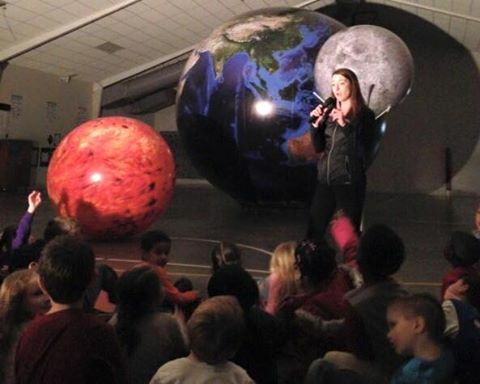 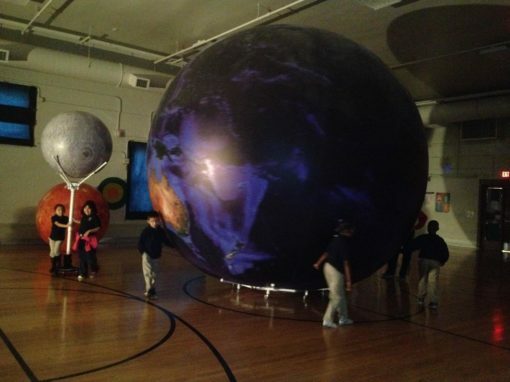 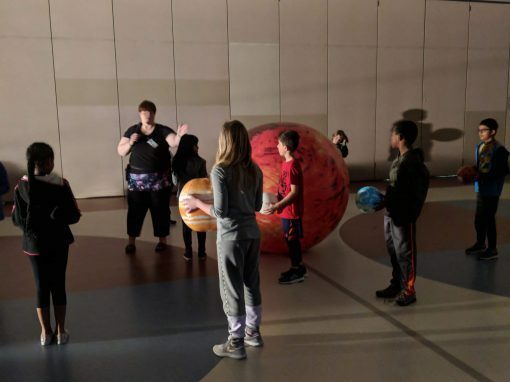 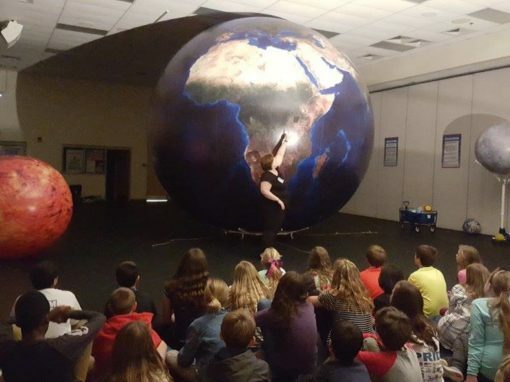 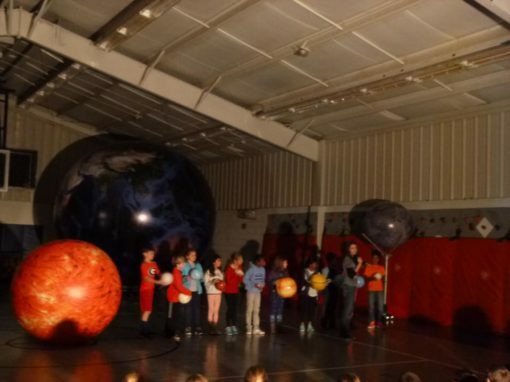 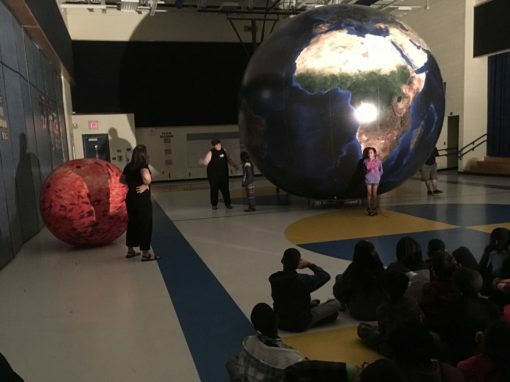 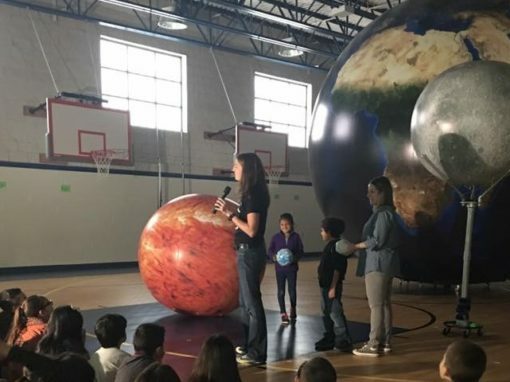 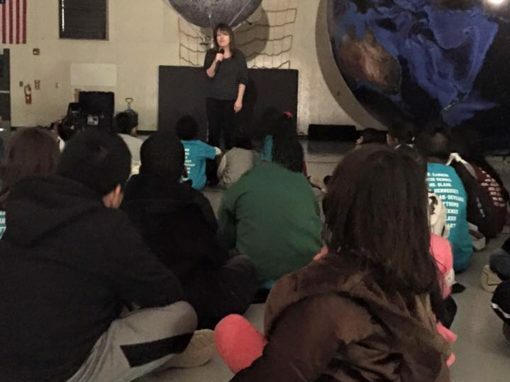 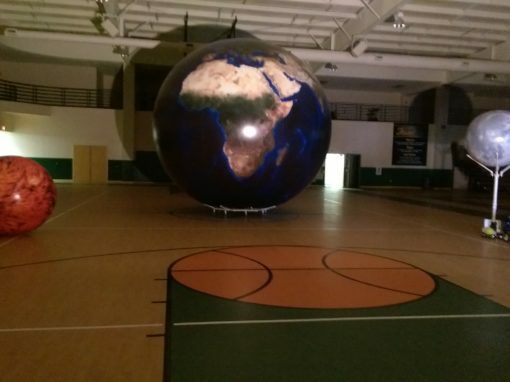 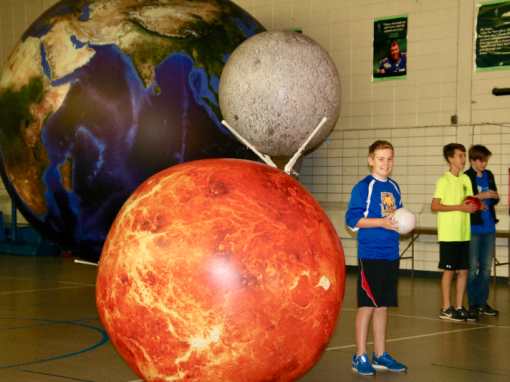 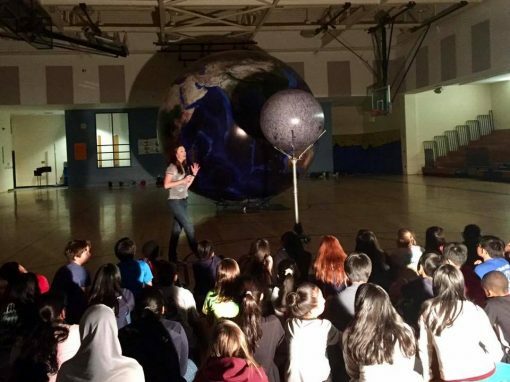 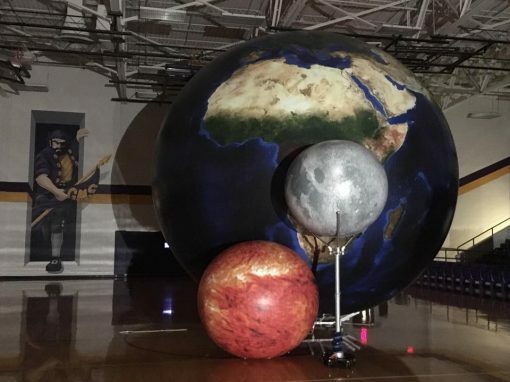 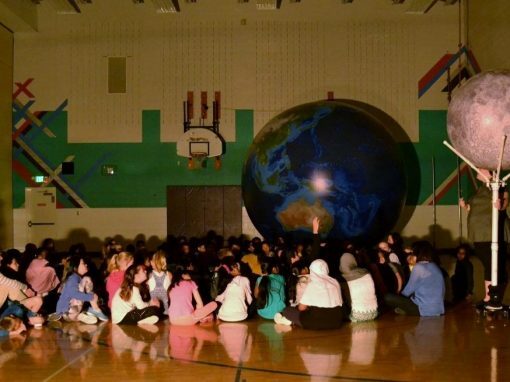 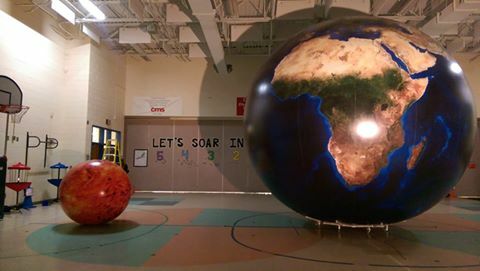 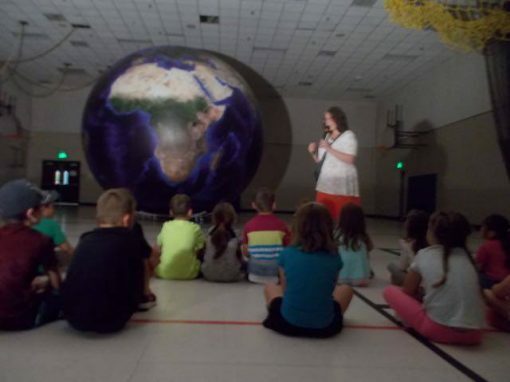 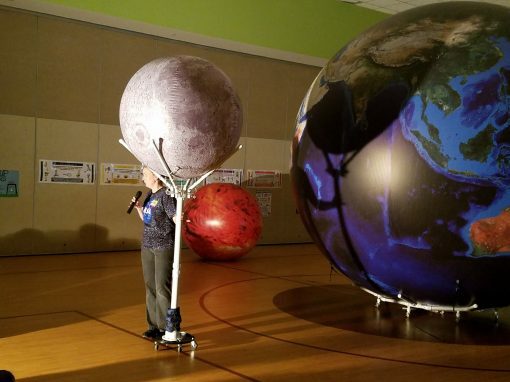 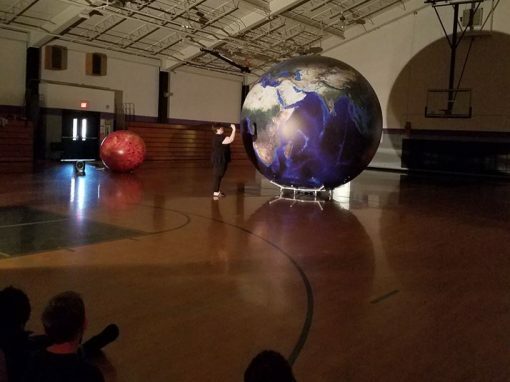 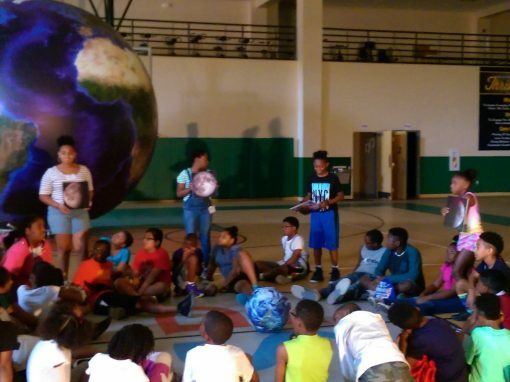 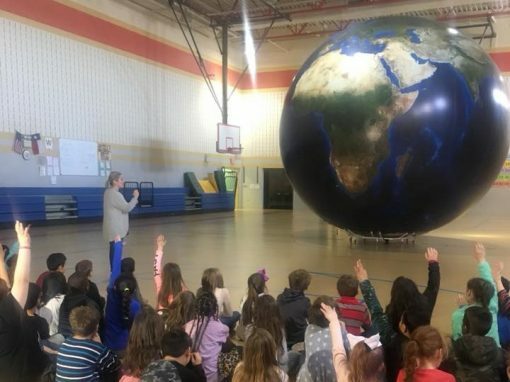 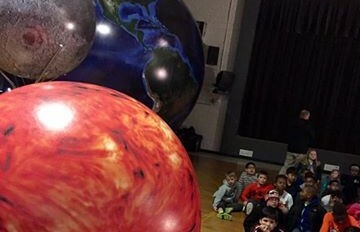 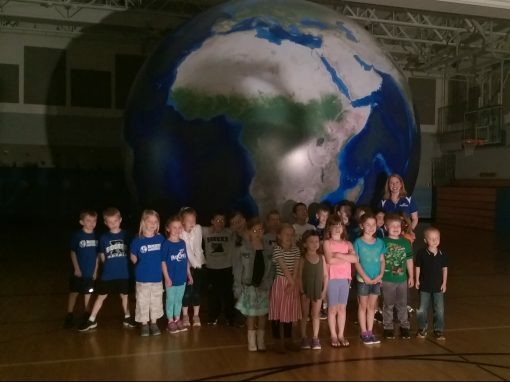 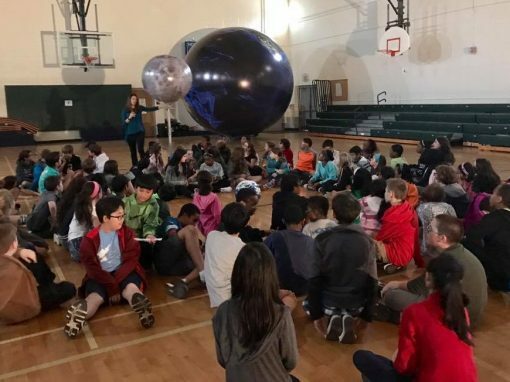 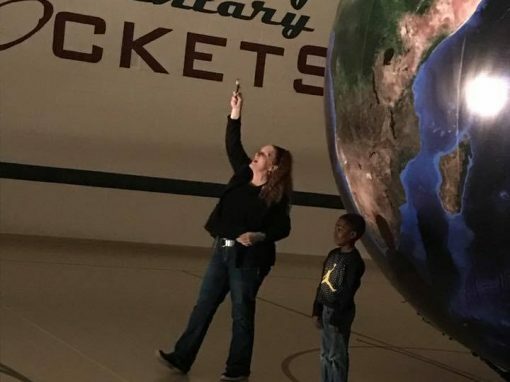 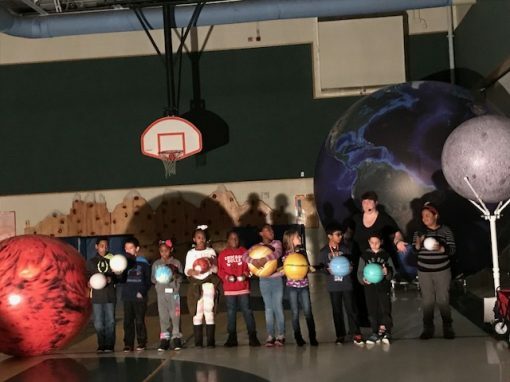 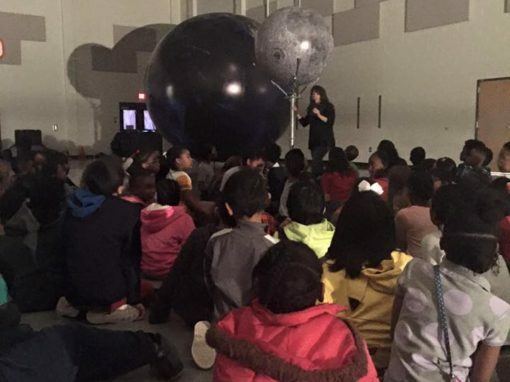 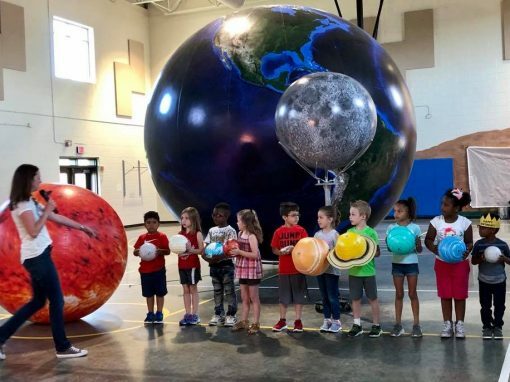 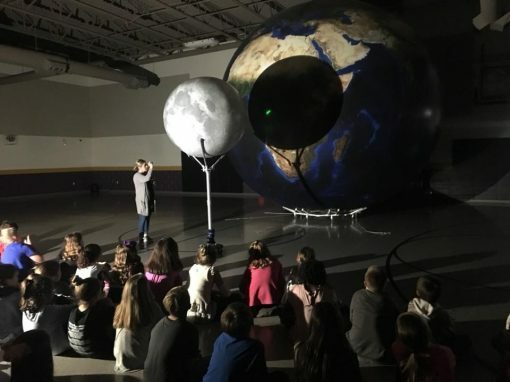 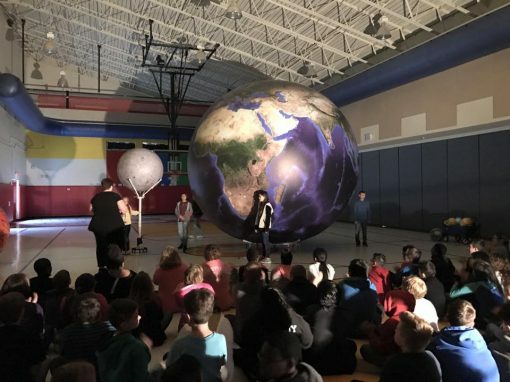 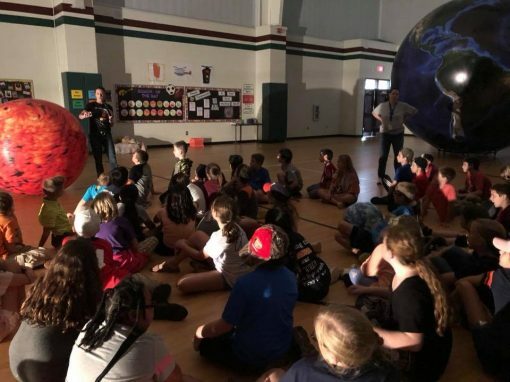 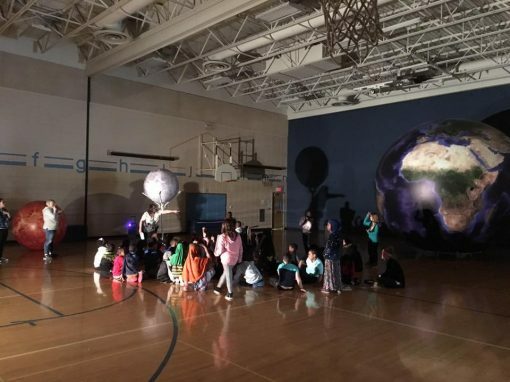 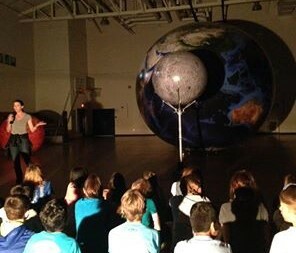 Students journey to space to create cycles, systems and relationships between the earth, moon and sun using our huge inflatable Earth and scale-sized moon. 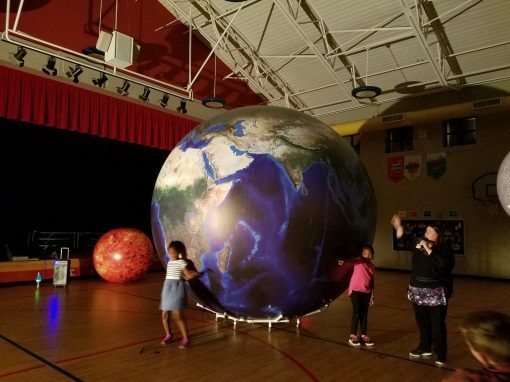 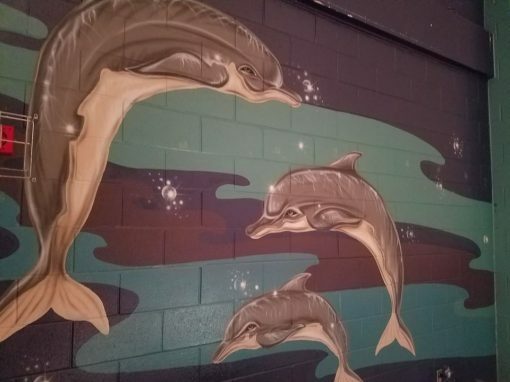 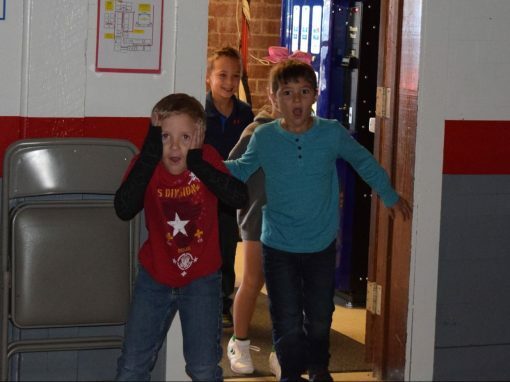 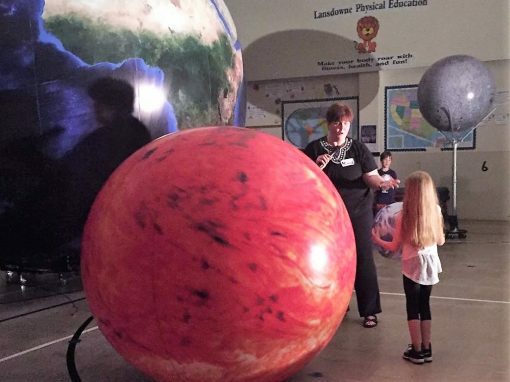 Experience eclipses, seasons, phases of the moon, creation of winds, day/night cycles, rotation vs revolution, comparing the physical characteristics of the earth, moon and sun, gravity, order of the planets and more! 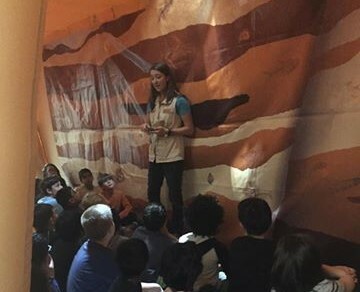 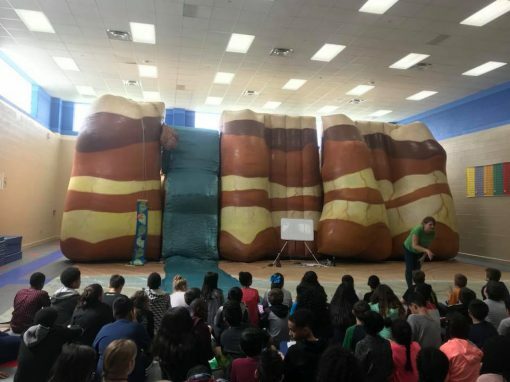 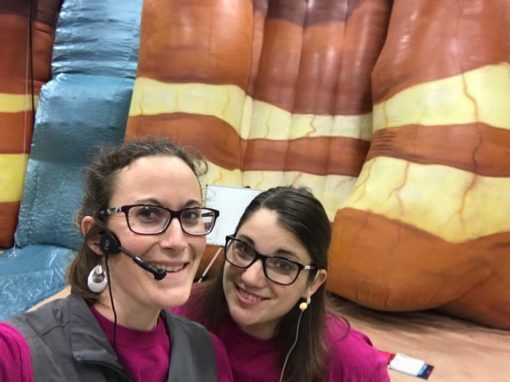 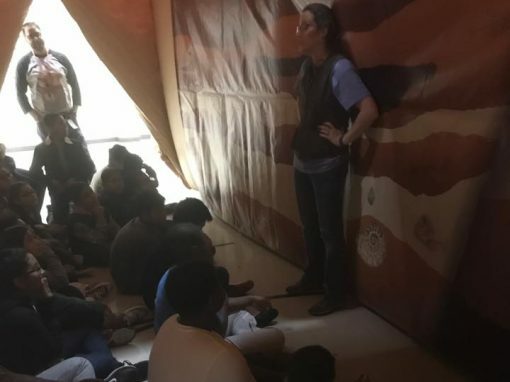 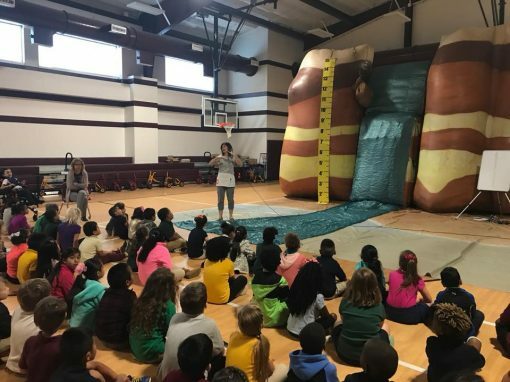 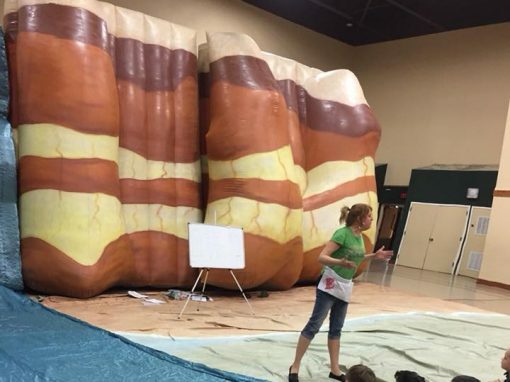 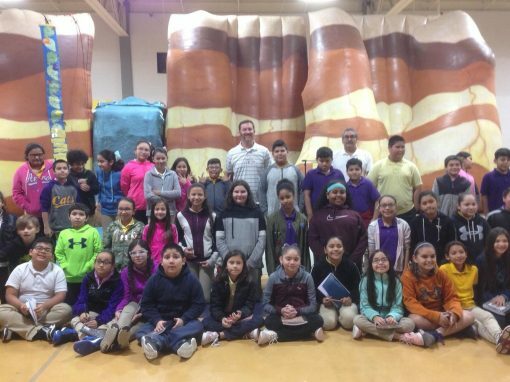 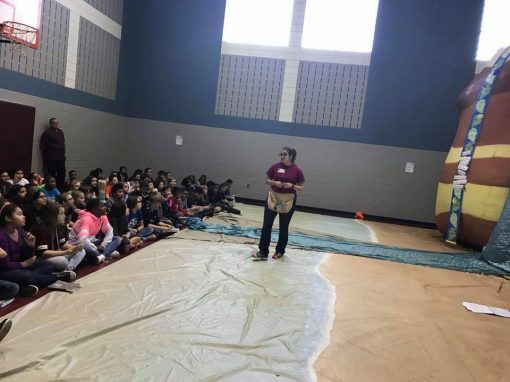 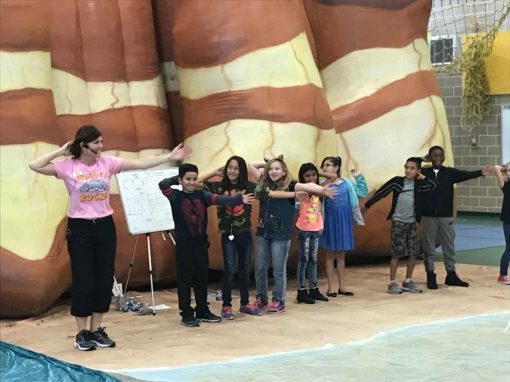 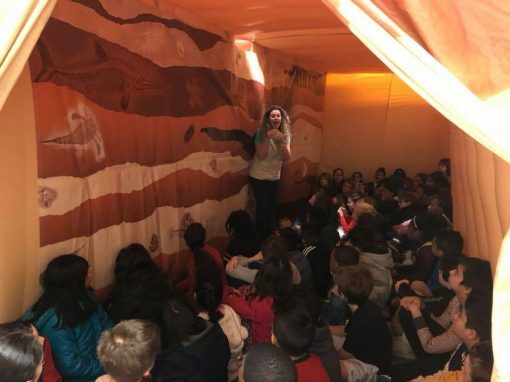 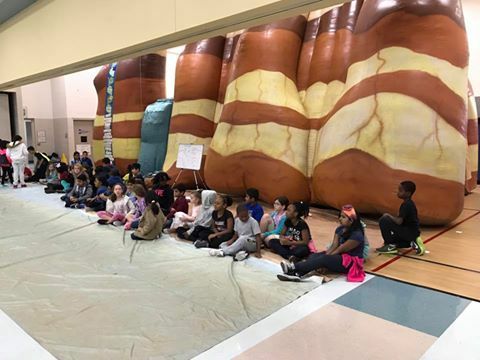 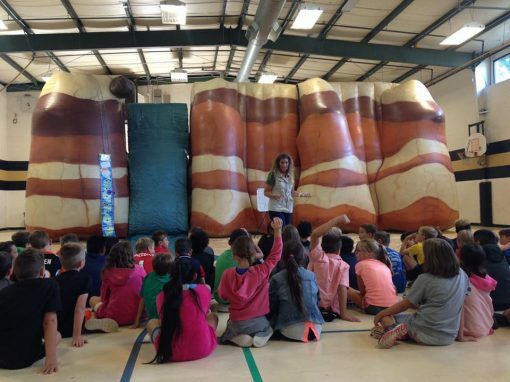 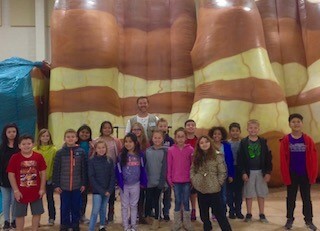 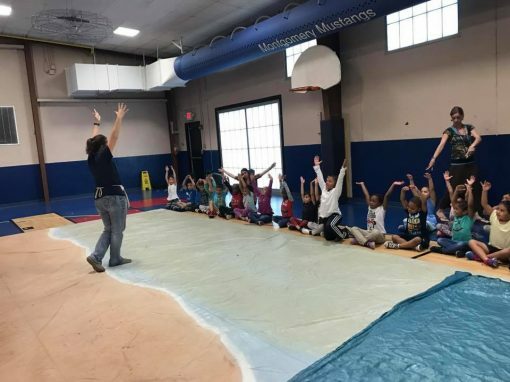 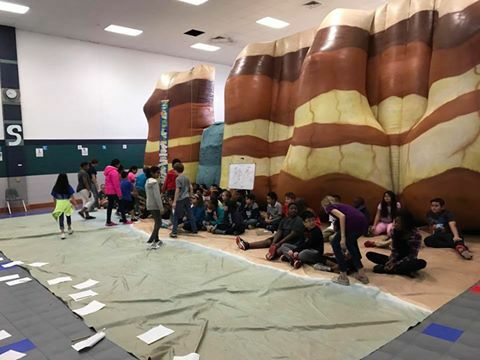 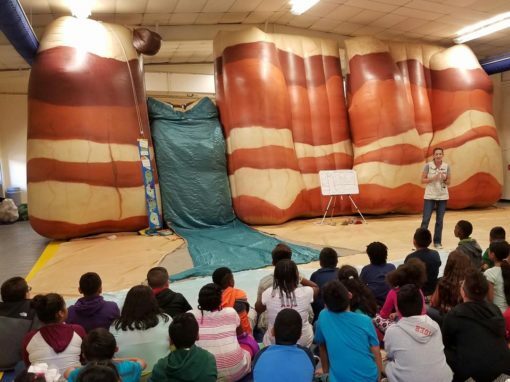 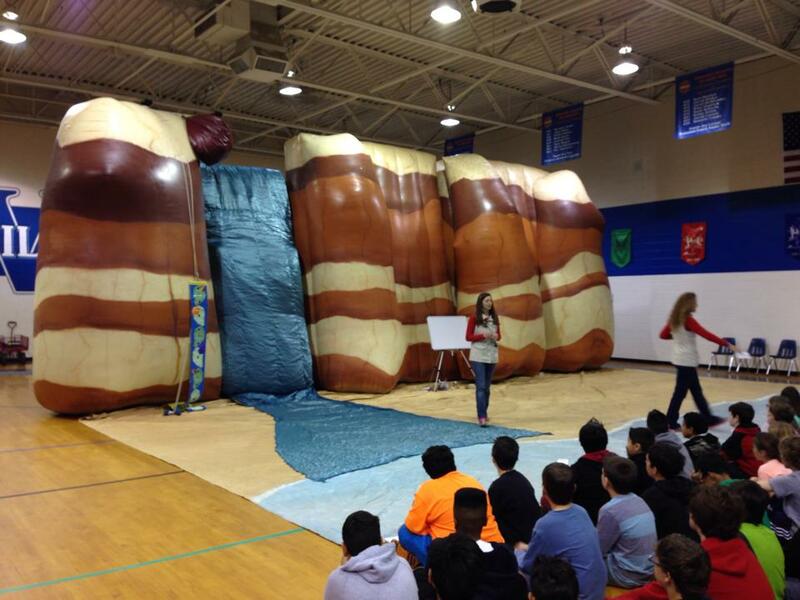 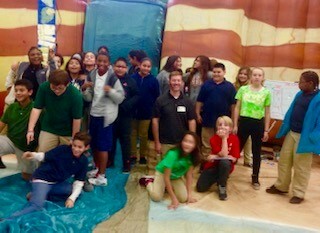 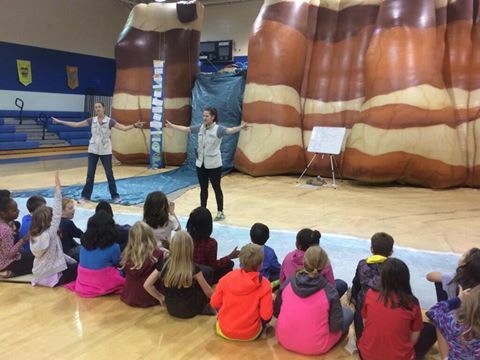 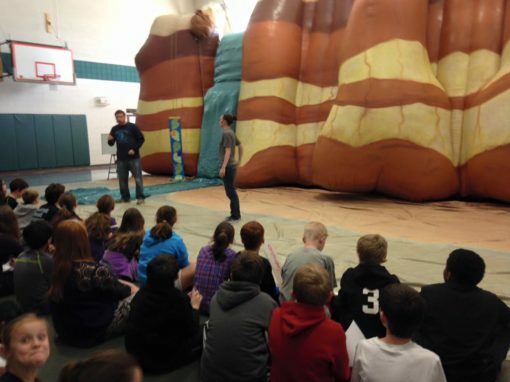 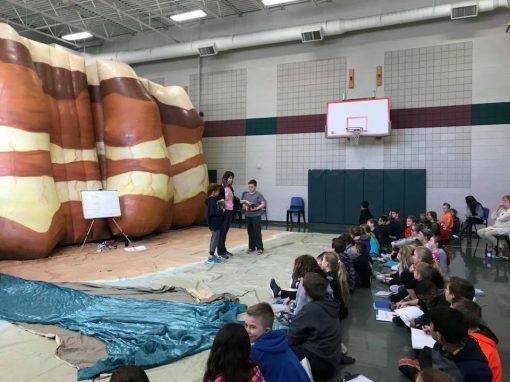 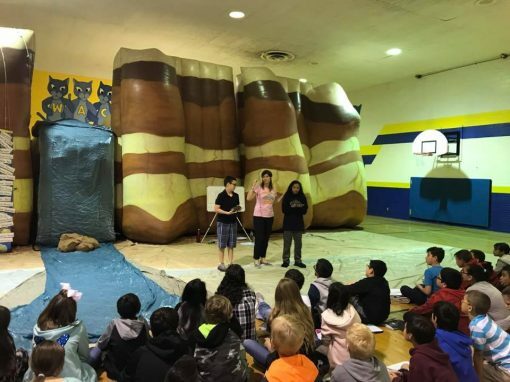 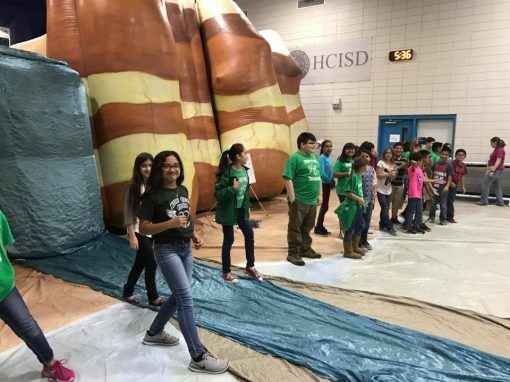 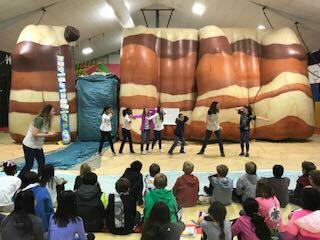 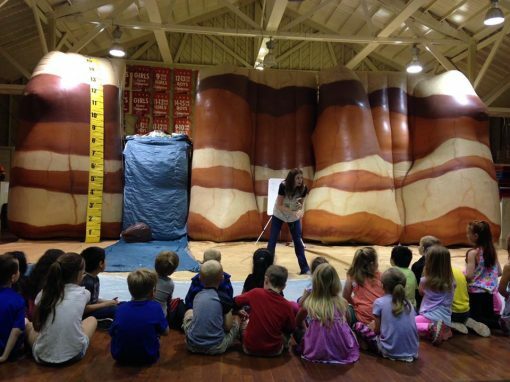 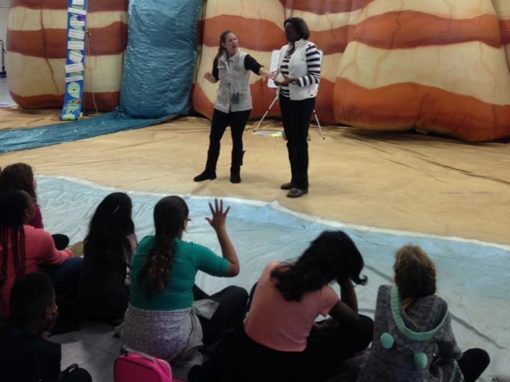 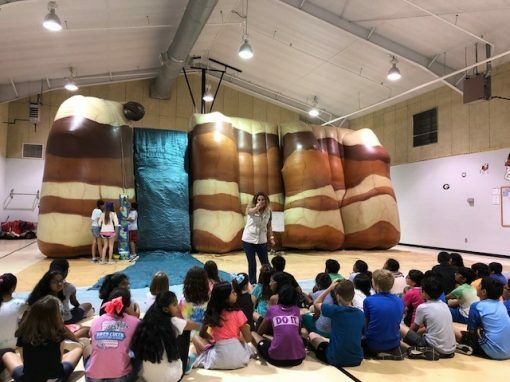 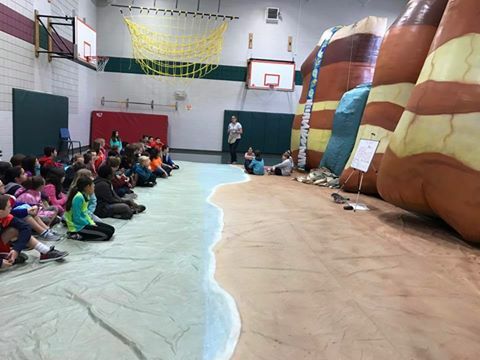 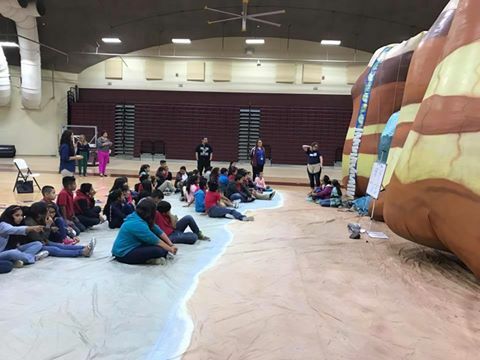 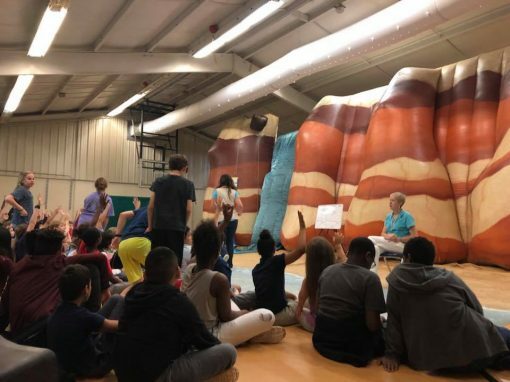 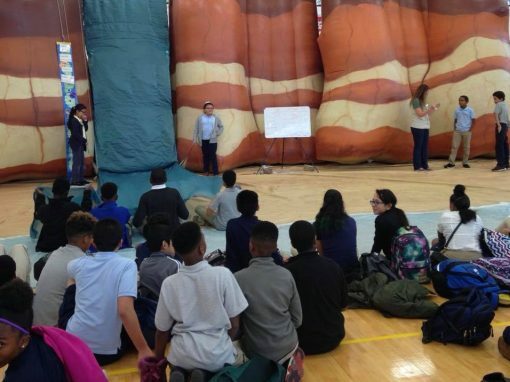 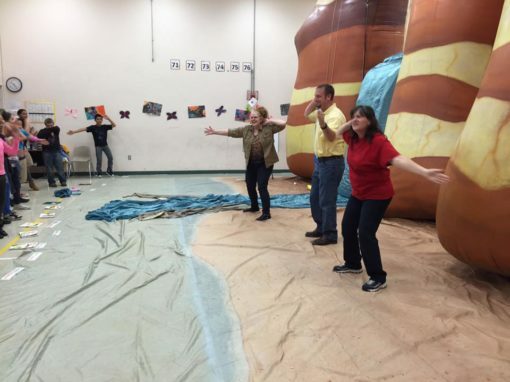 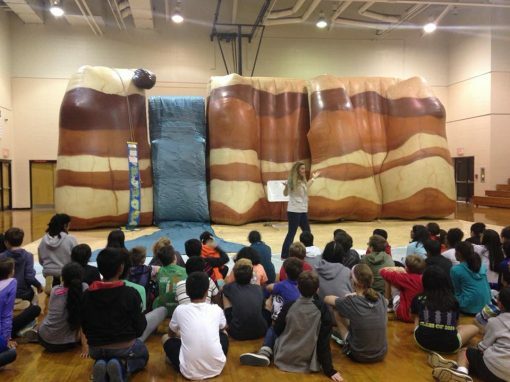 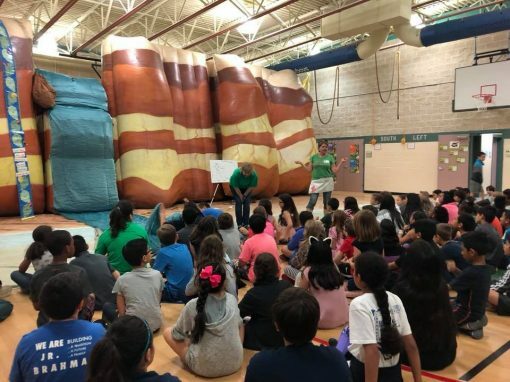 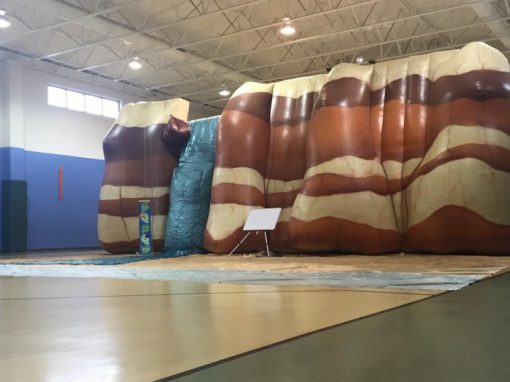 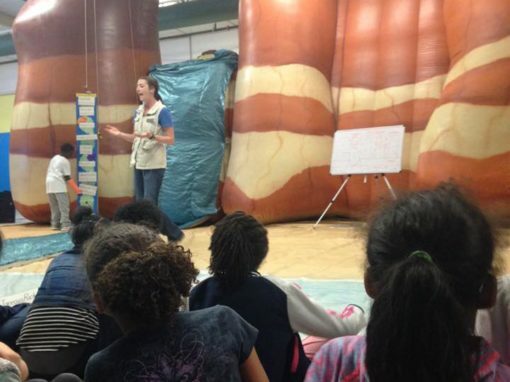 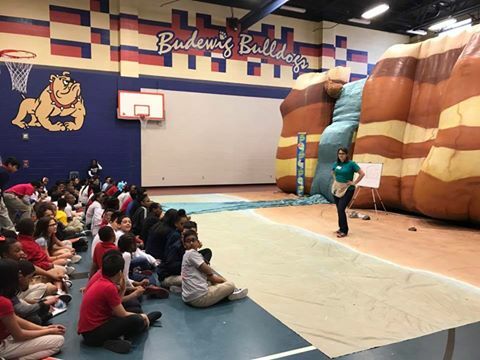 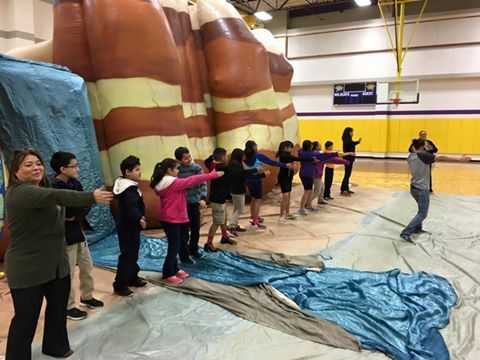 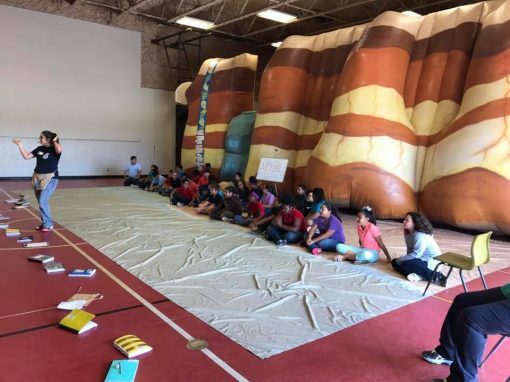 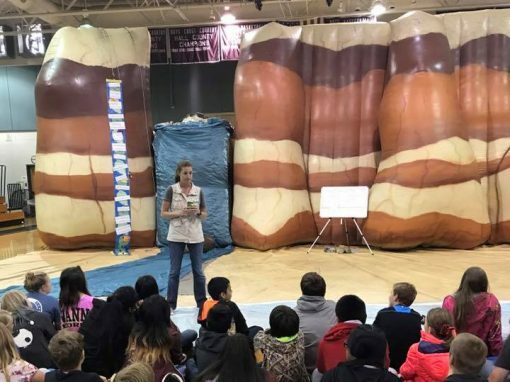 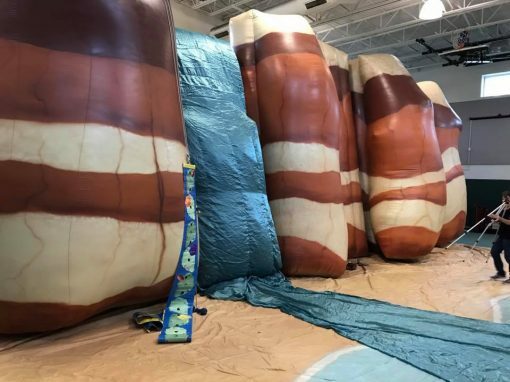 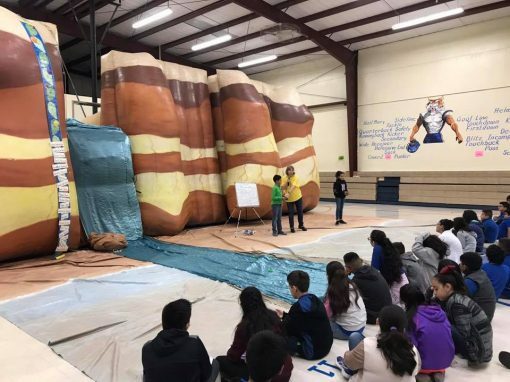 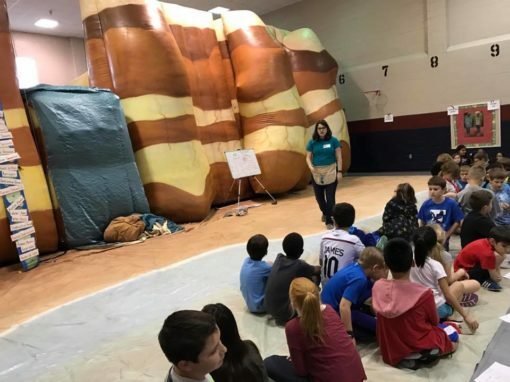 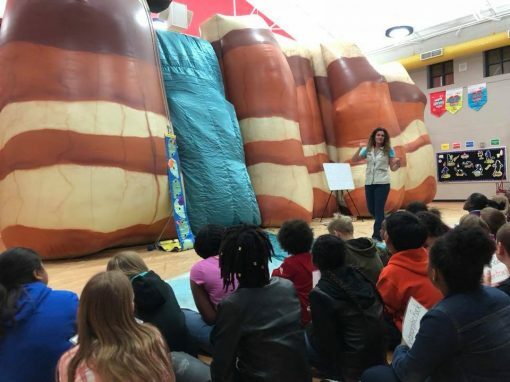 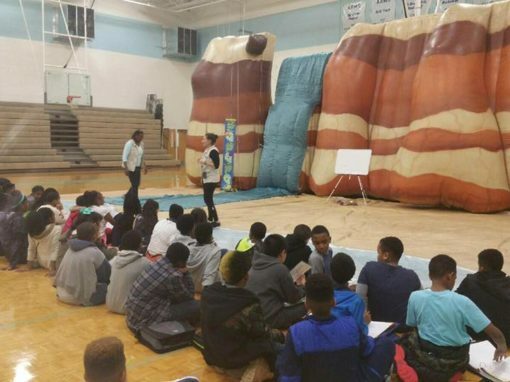 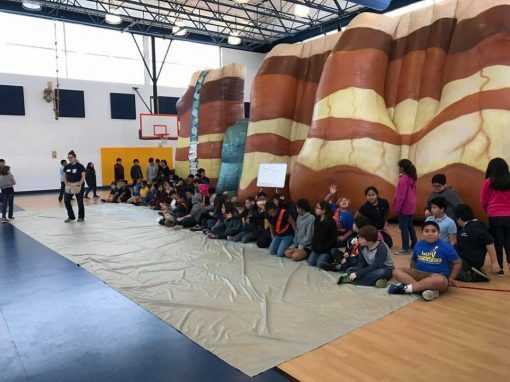 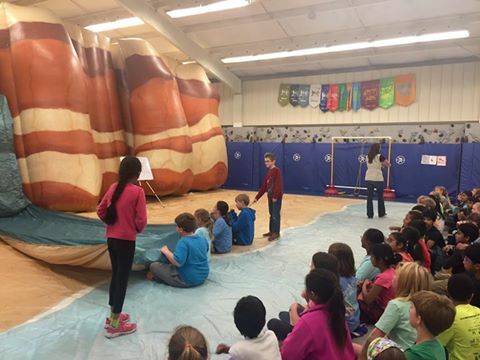 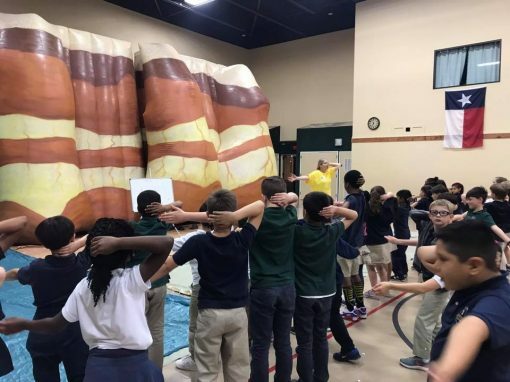 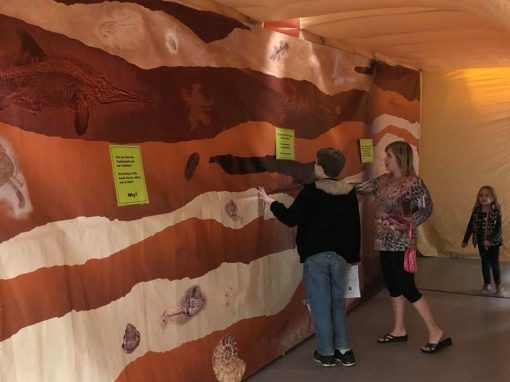 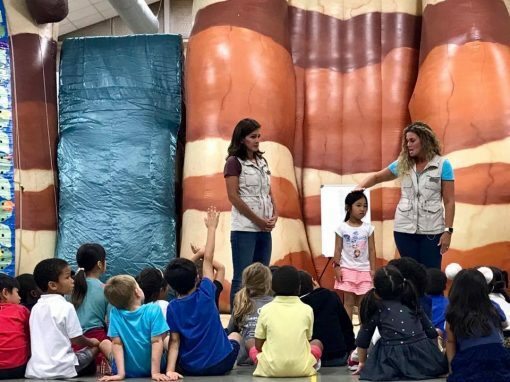 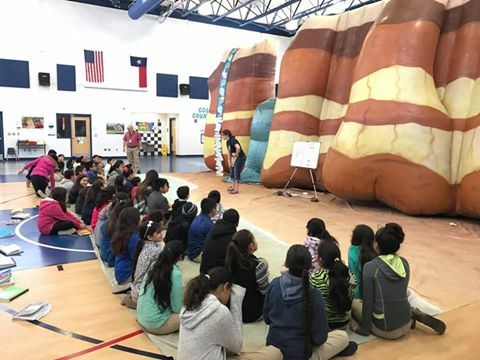 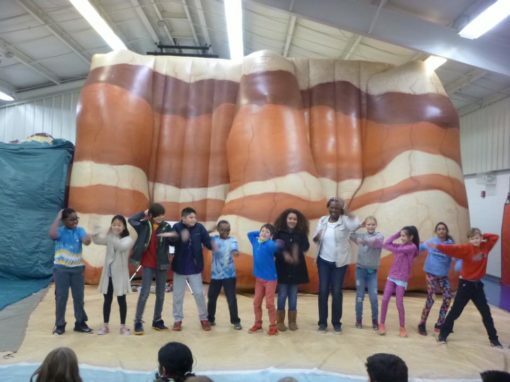 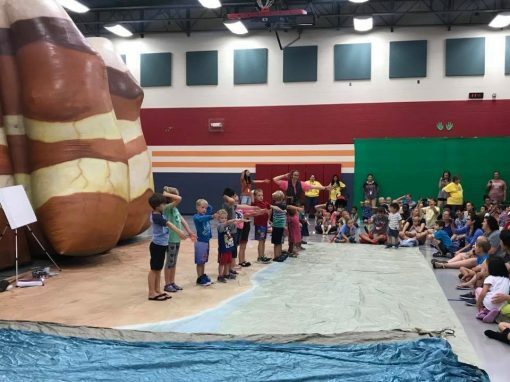 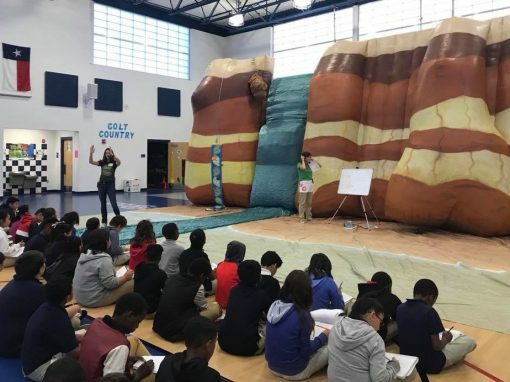 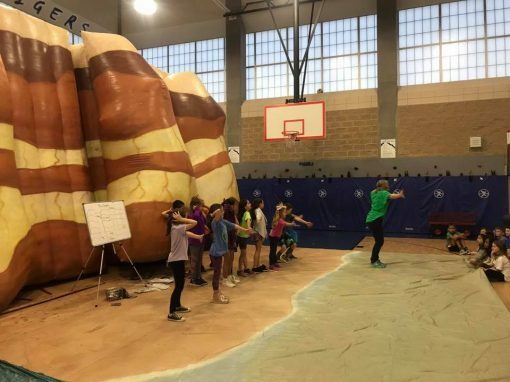 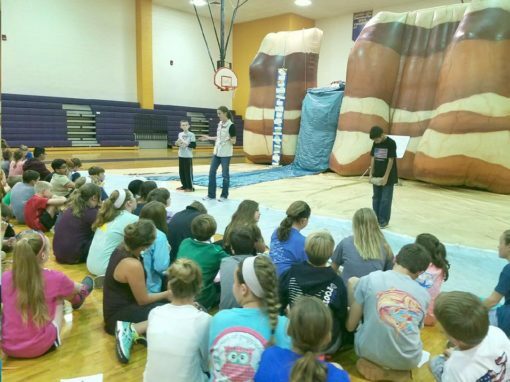 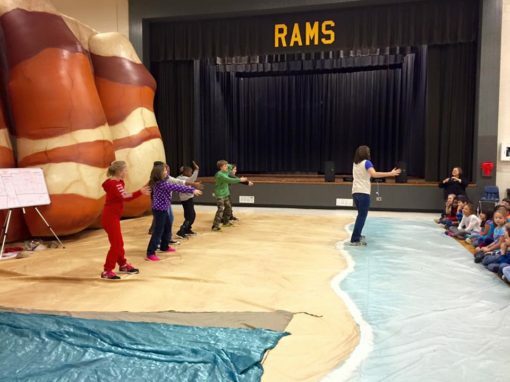 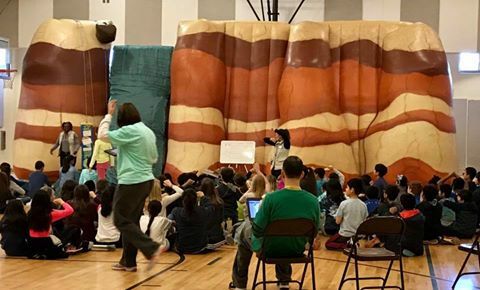 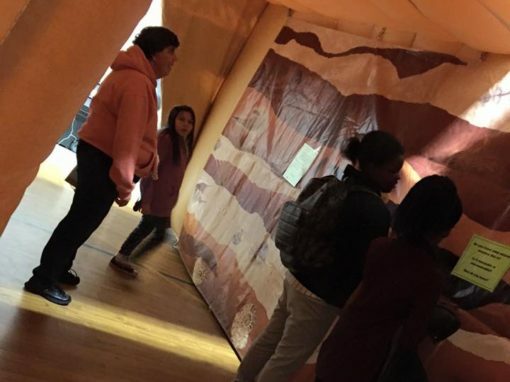 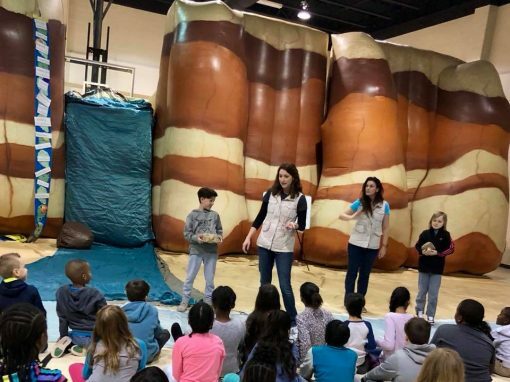 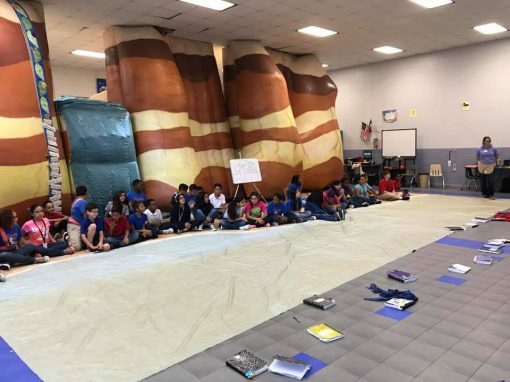 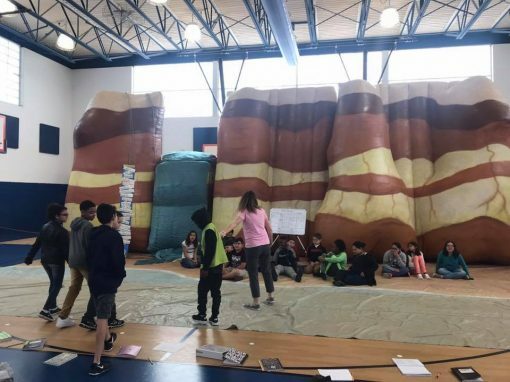 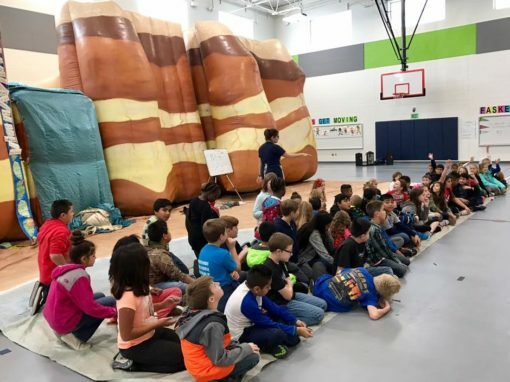 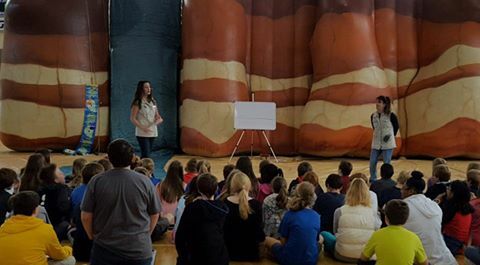 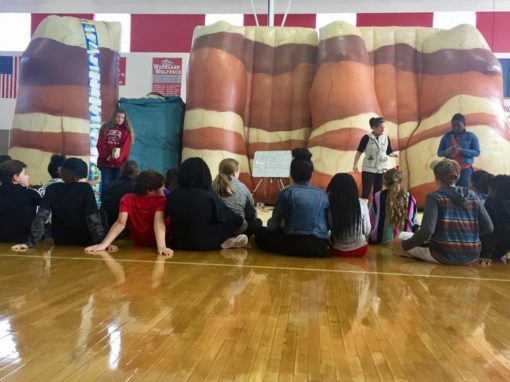 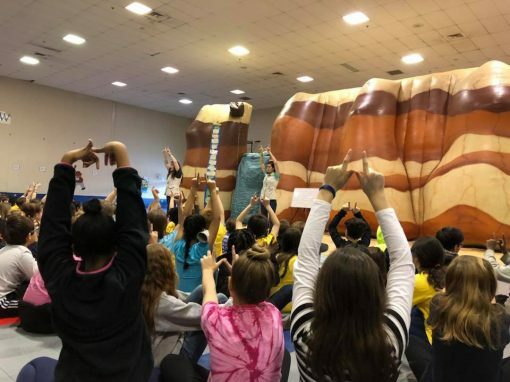 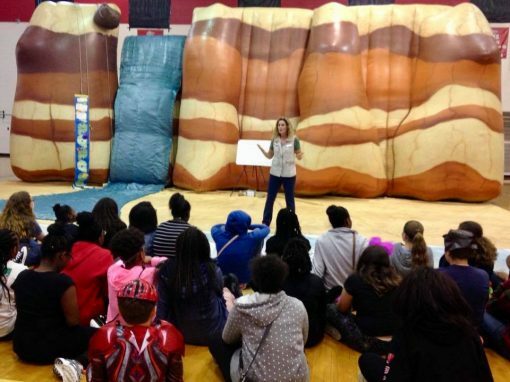 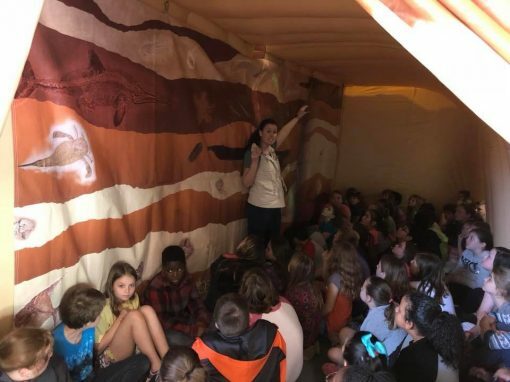 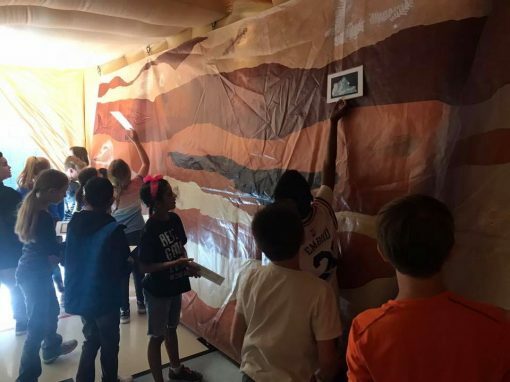 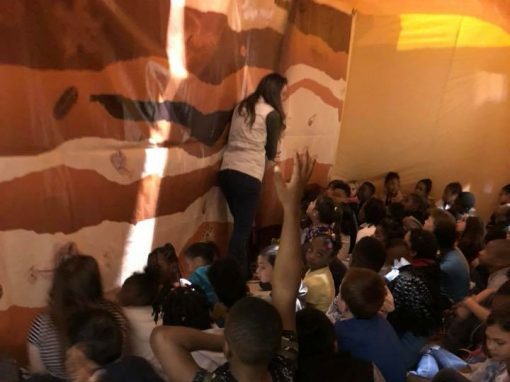 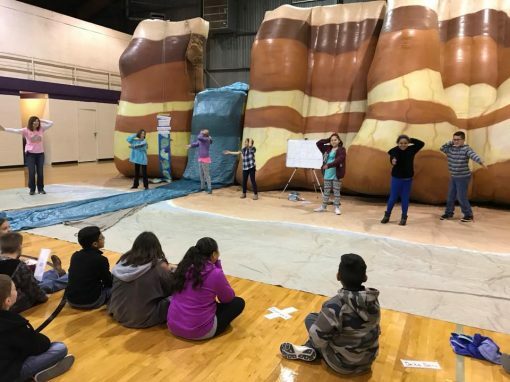 Students encounter the world of weathering, erosion and deposition as they participate to create landforms such as a delta and a barrier island with our 15′ tall inflatable canyon model! 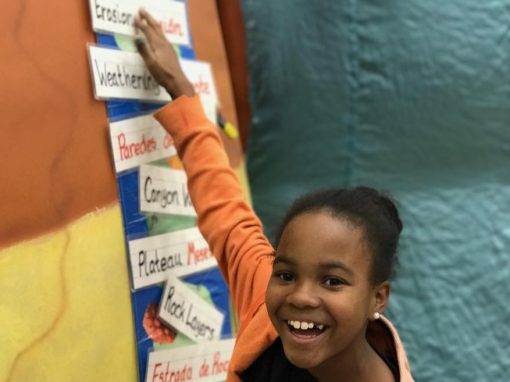 Investigate topics which include constructive vs destructive forces, potential vs kinetic energy, renewable vs non-renewable resources and rocks vs minerals. 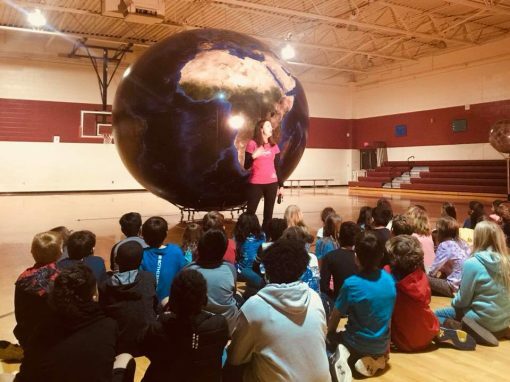 Choose Your State to Learn More! 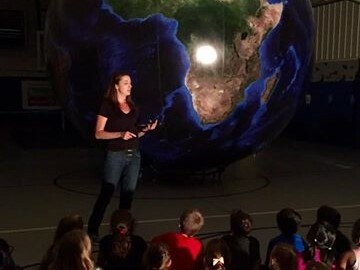 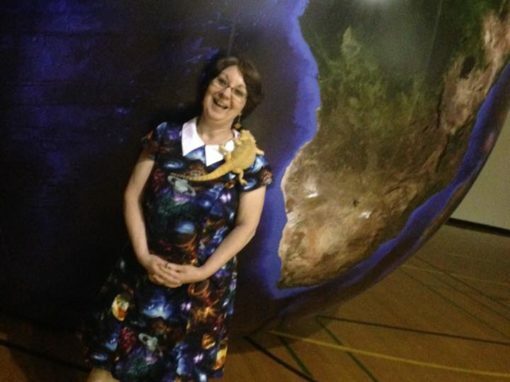 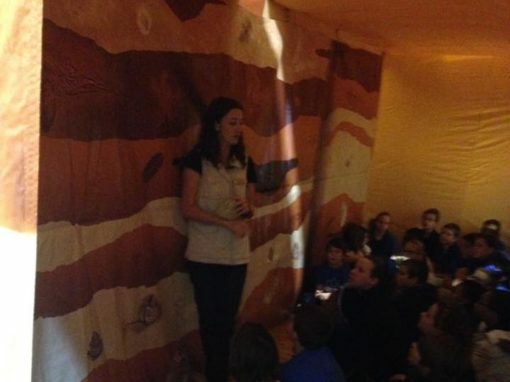 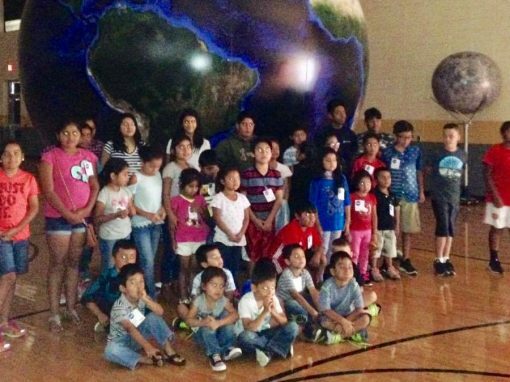 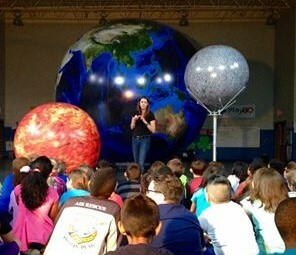 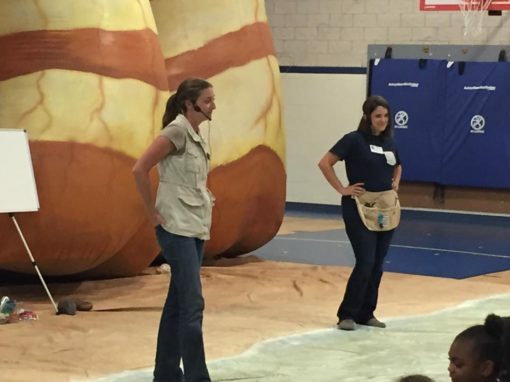 Thank you for your interest in our Big Canyon Balloon and Orbit Earth Expo science programs. 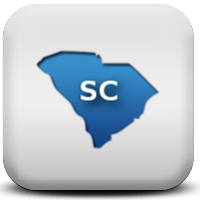 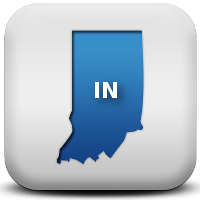 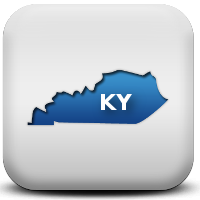 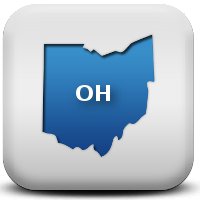 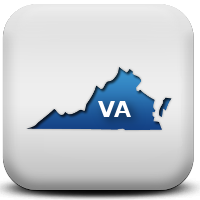 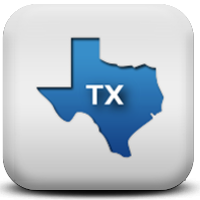 We look forward to keeping you informed about our programs. 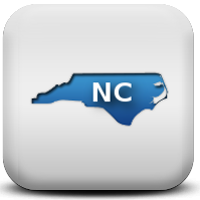 Be assured that we will never share your email address and that you may unsubscribe or change your preferences at any time.